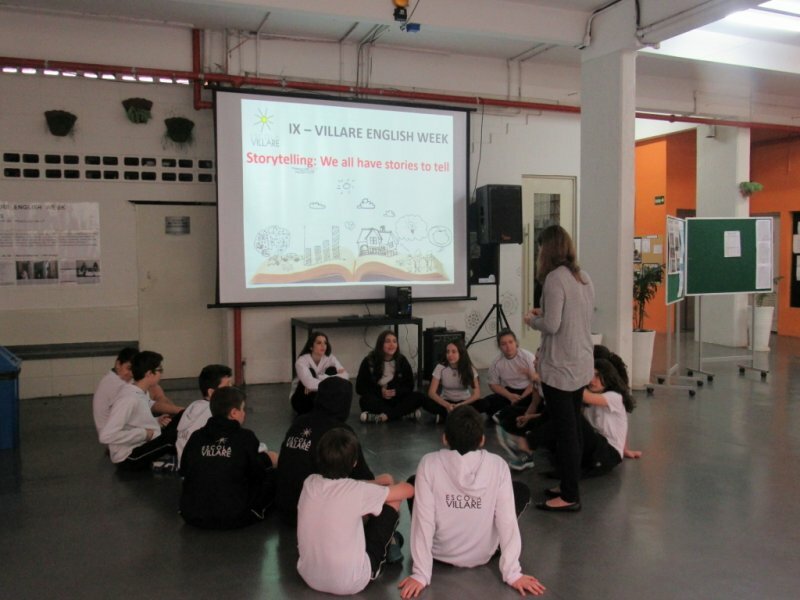 English Week has started with lots of interactive activities. 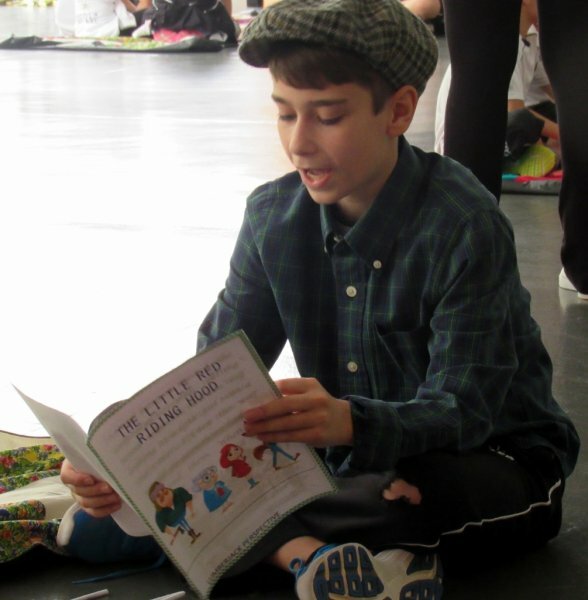 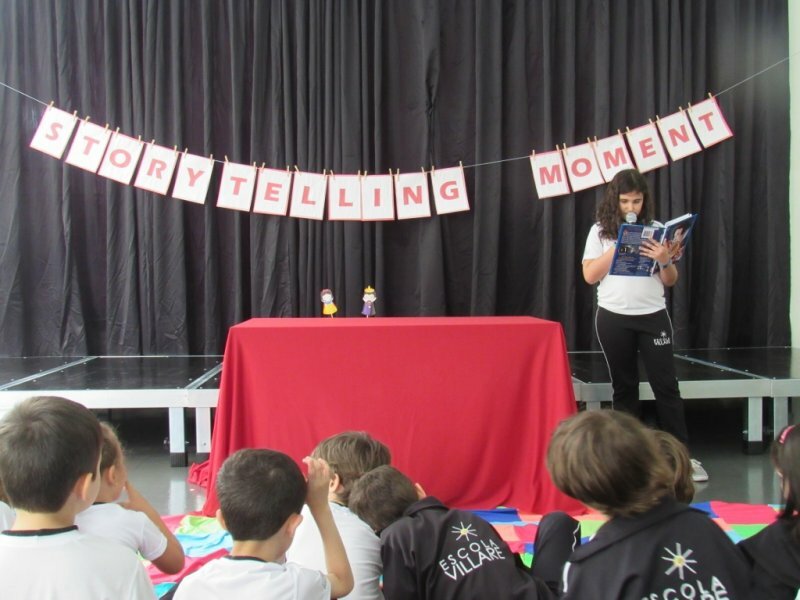 Today, students were gifted with storytelling and lectures given by special guests. 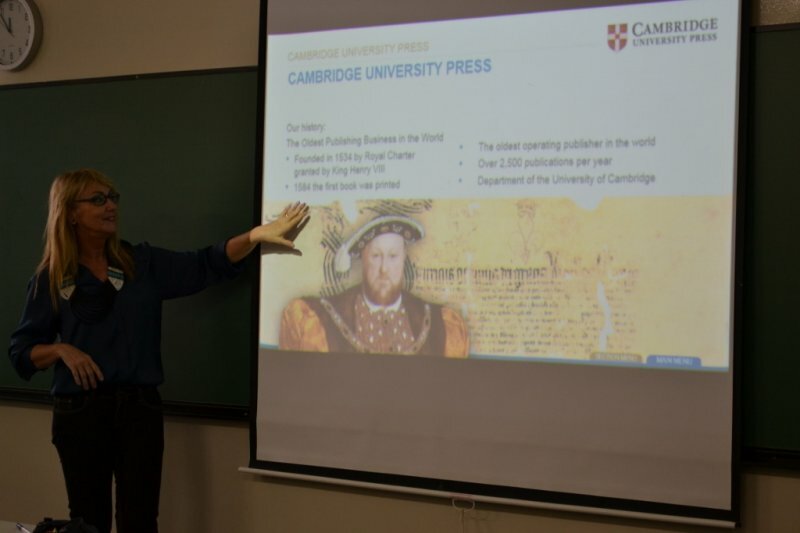 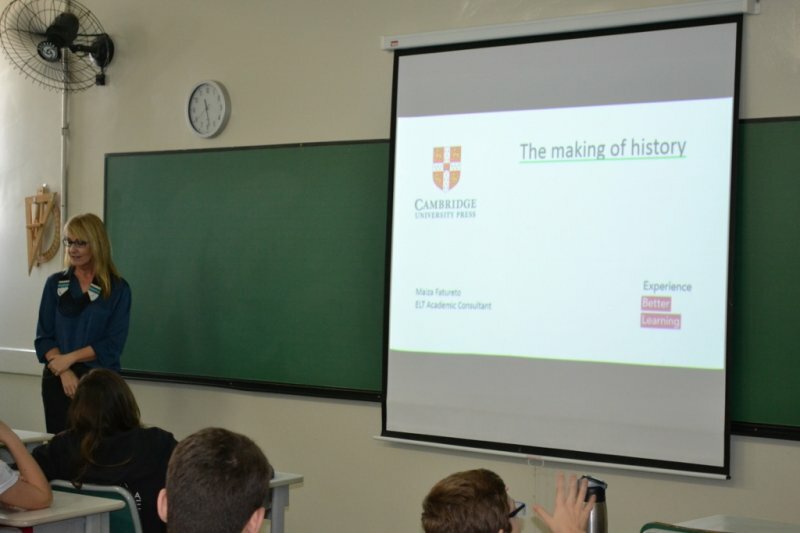 Maiza Fatureto, book author at Cambridge University Press talked to 8th grades about The Making of History of Cambridge University. 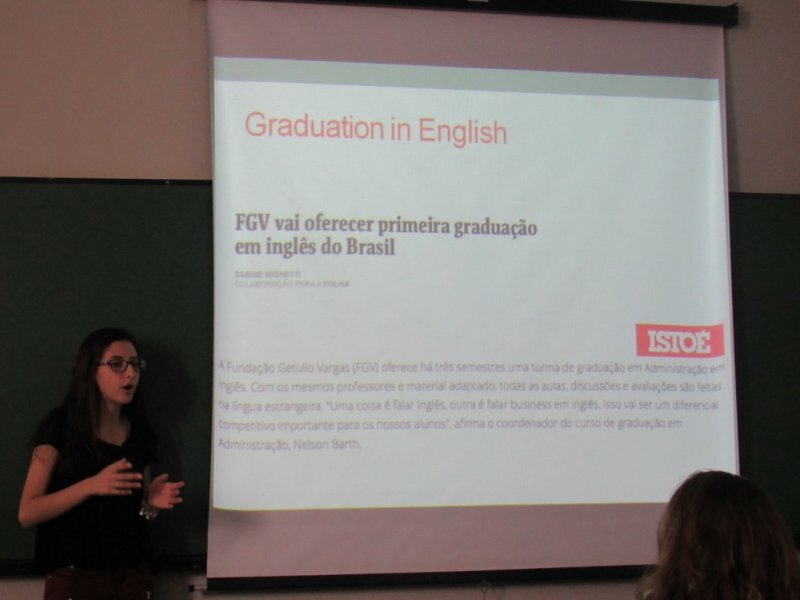 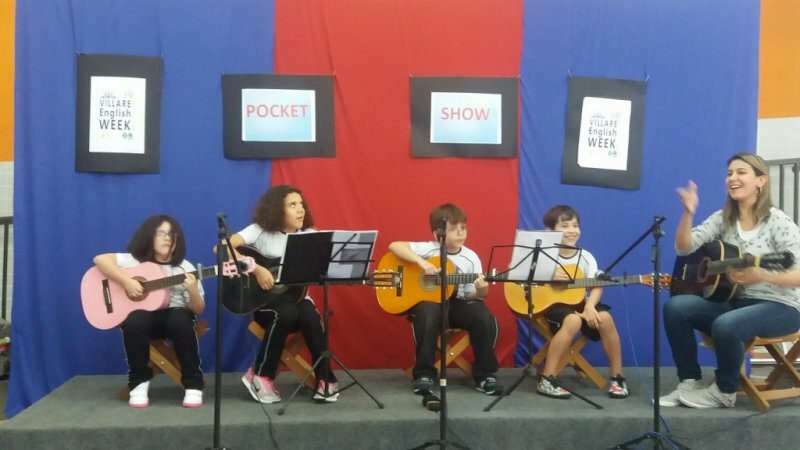 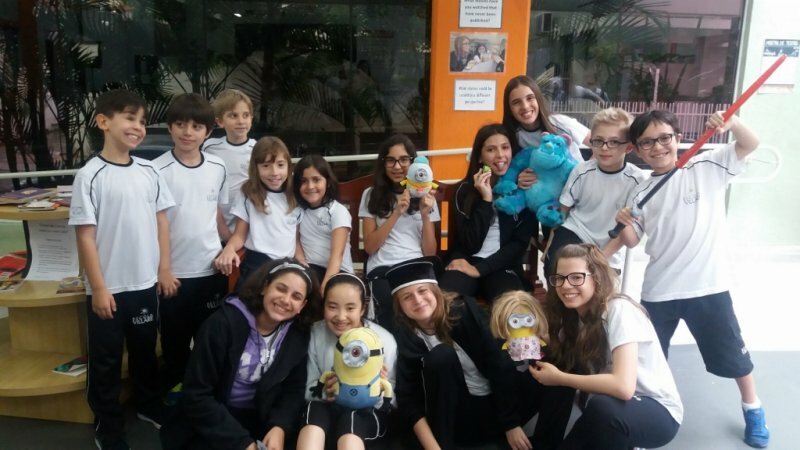 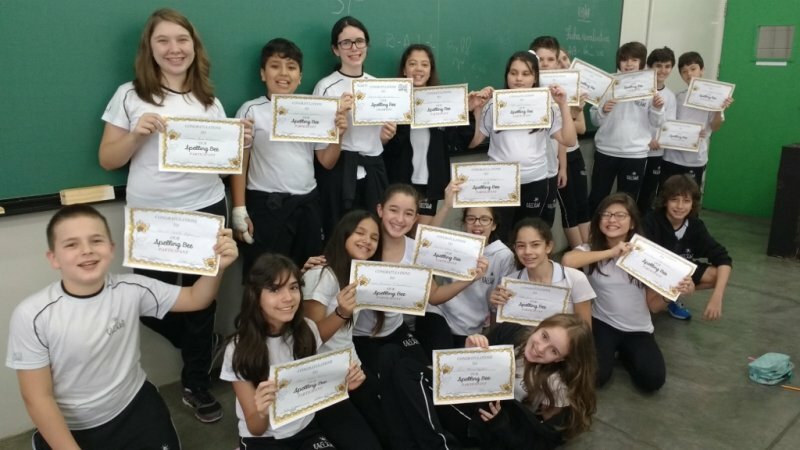 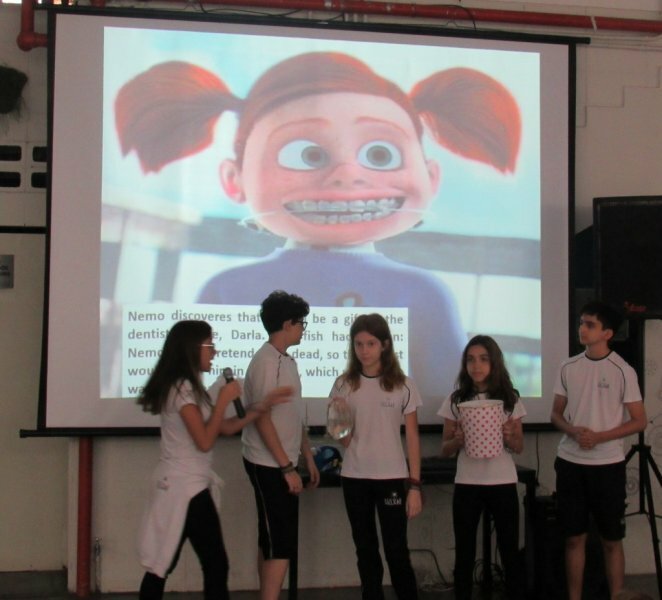 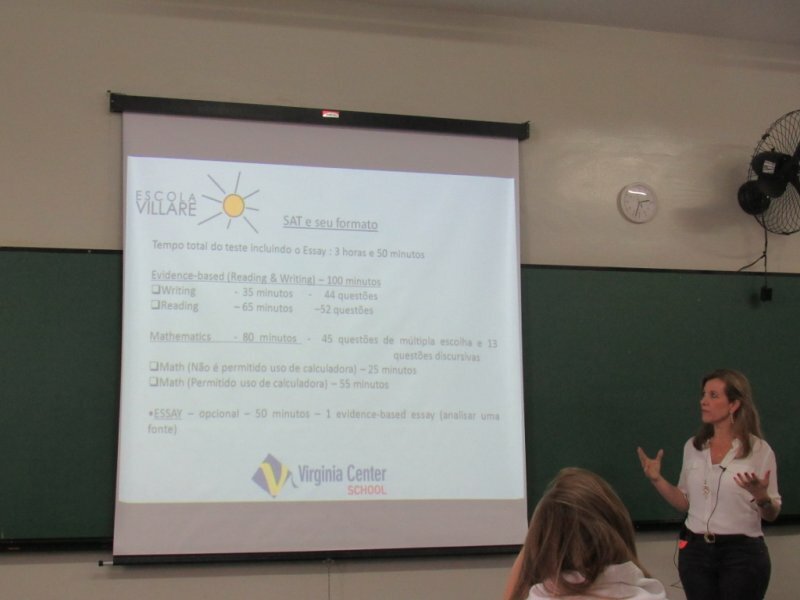 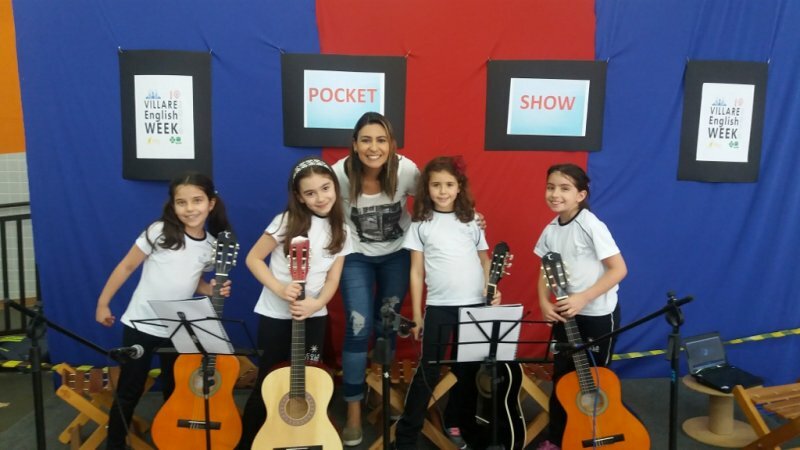 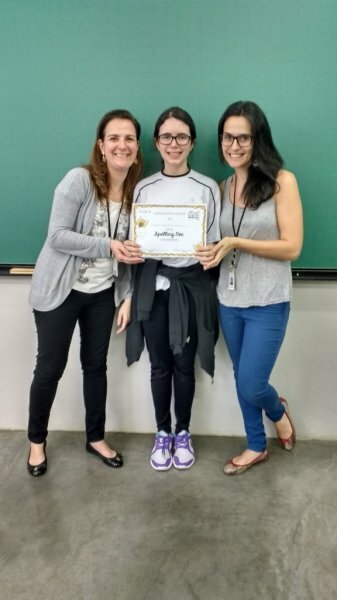 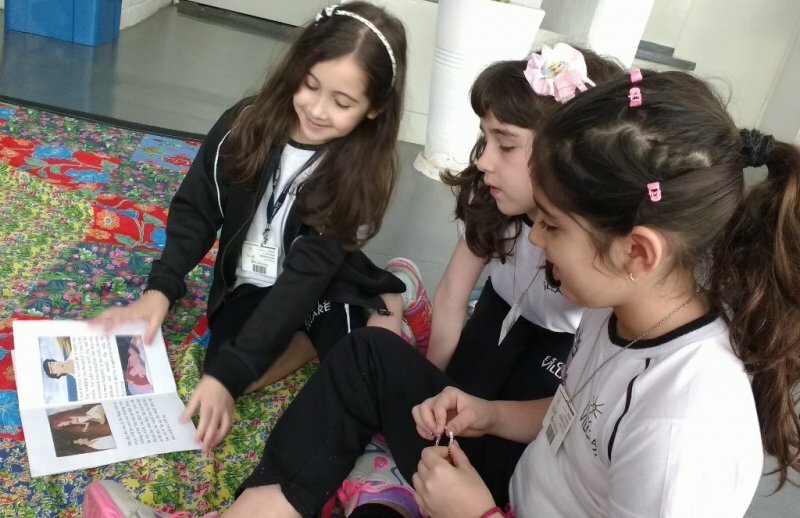 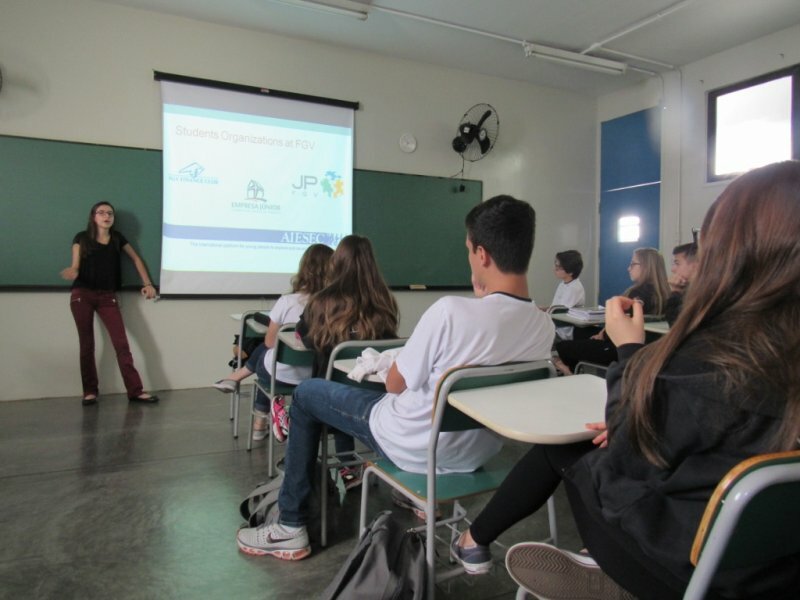 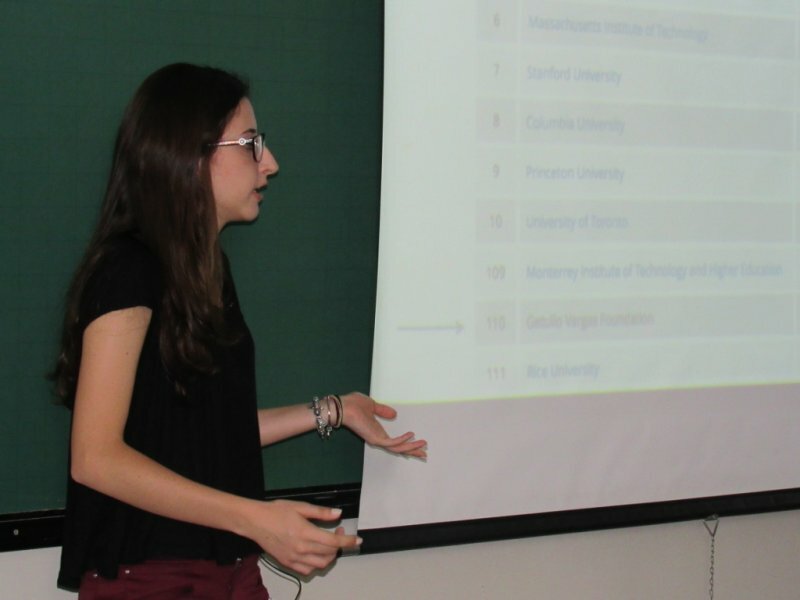 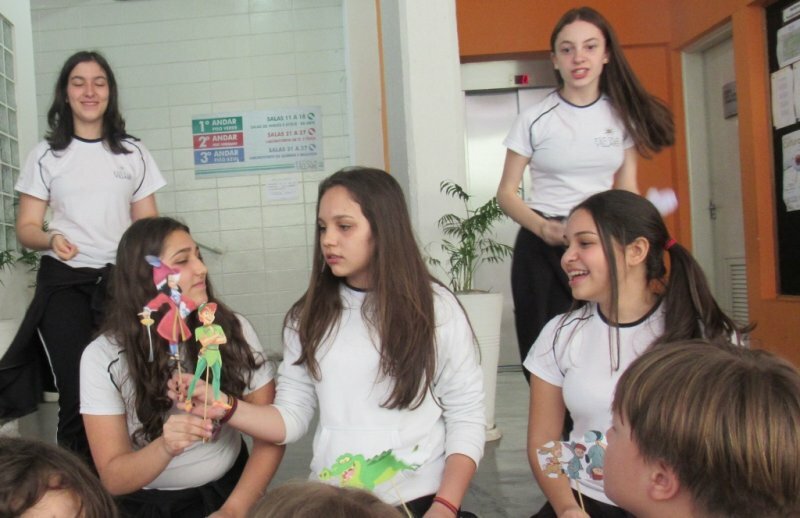 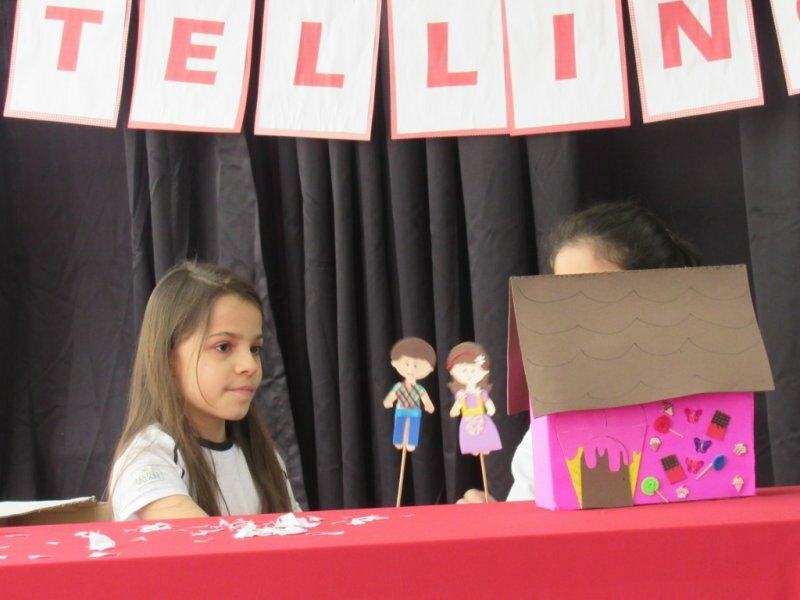 At Ensino Médio, Paola Meneguel Panhota presented for the 3rd grade students one of her successful projects at her graduation in English at FGV. 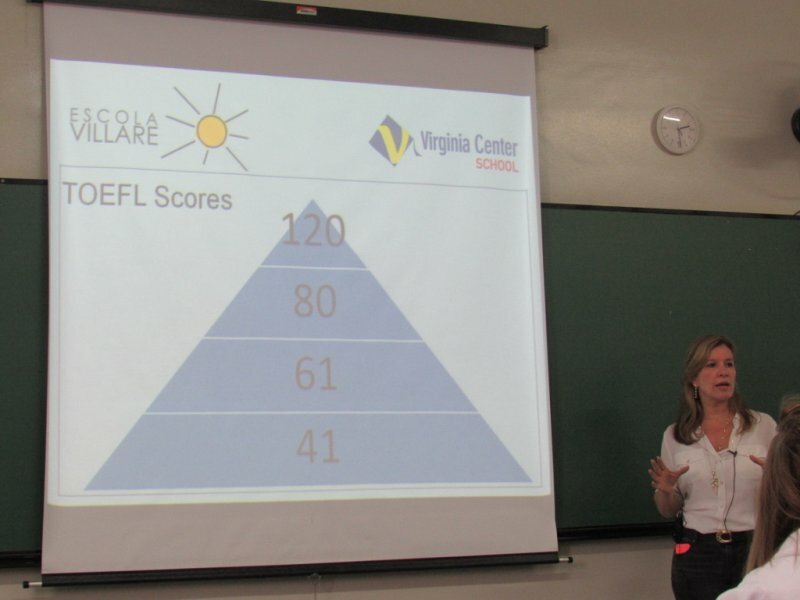 The first grade students talked to Ana Virginia about TOEFL and SAT, which are essential exams to apply for universities in USA. 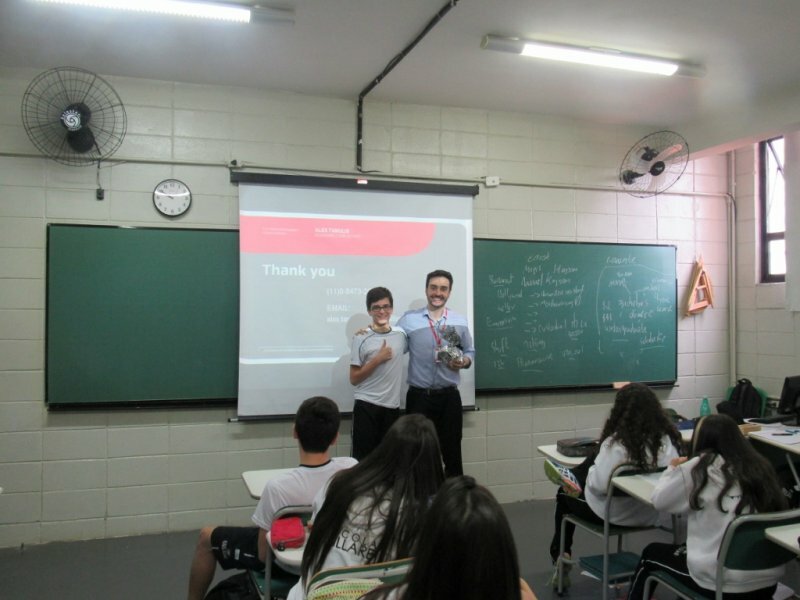 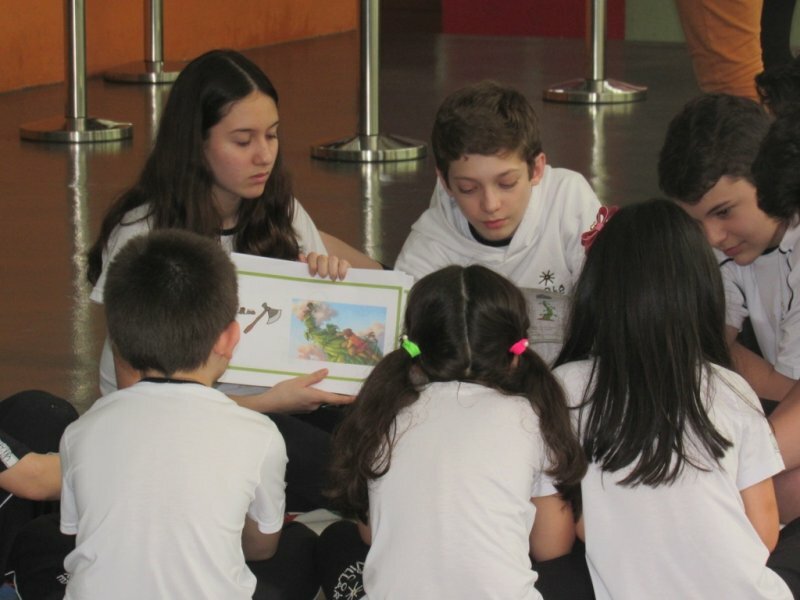 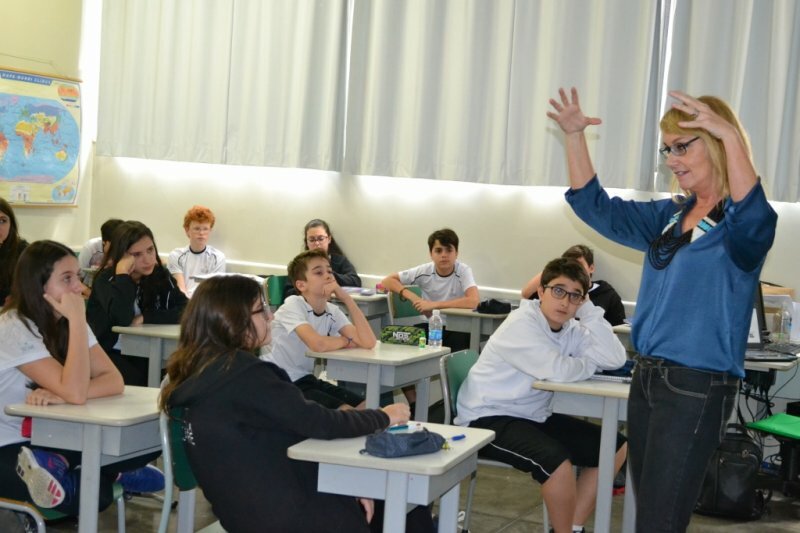 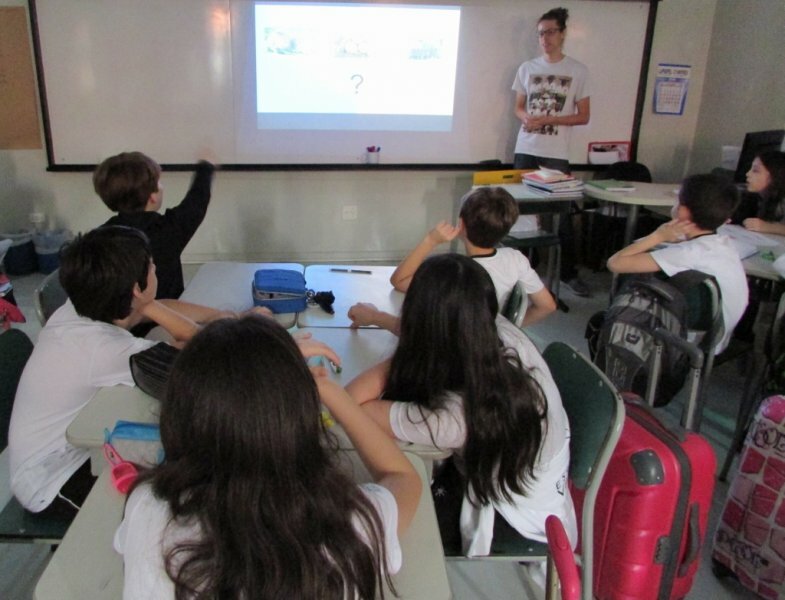 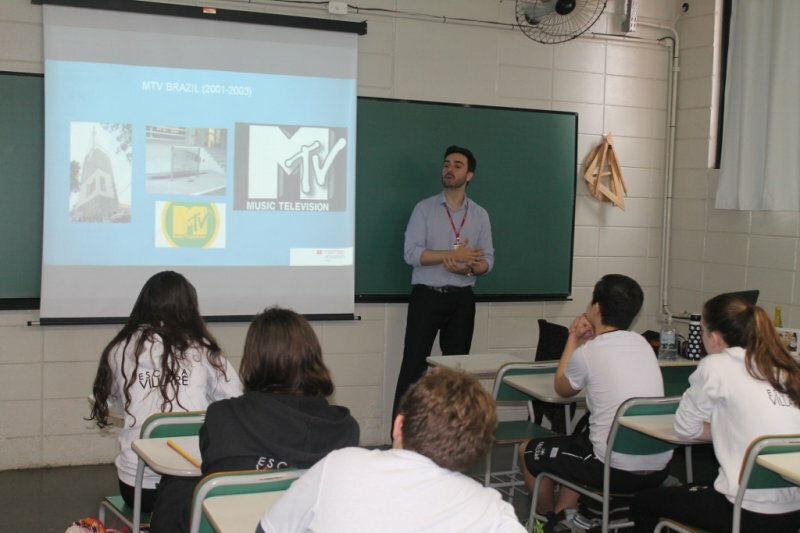 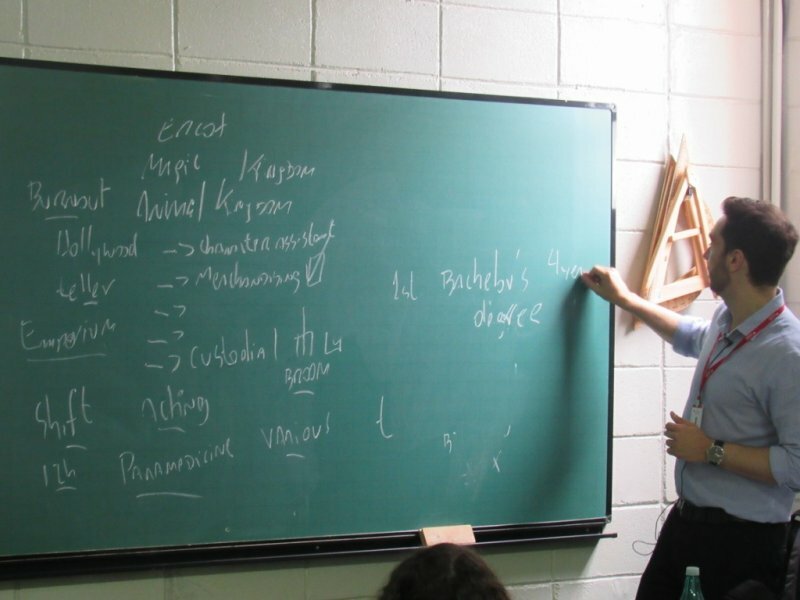 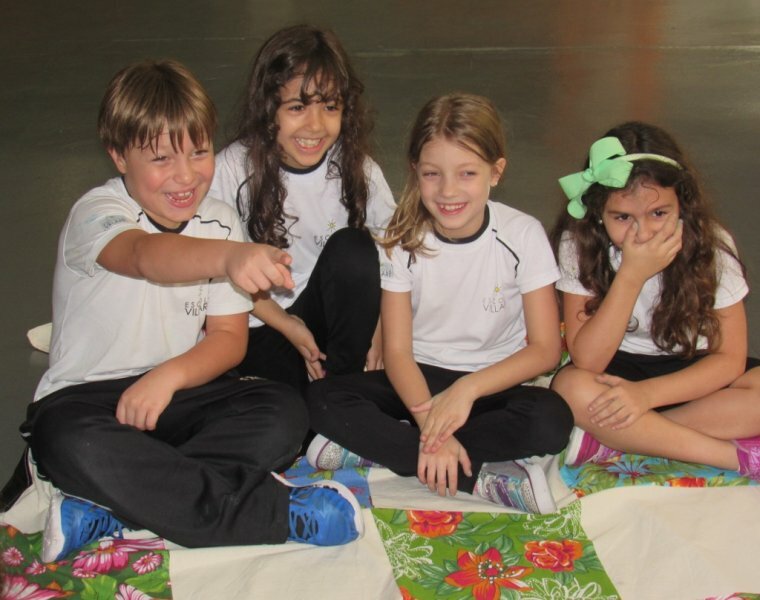 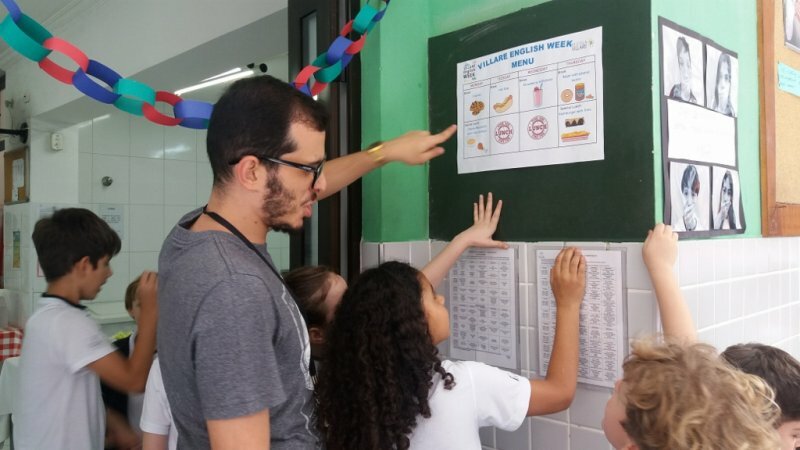 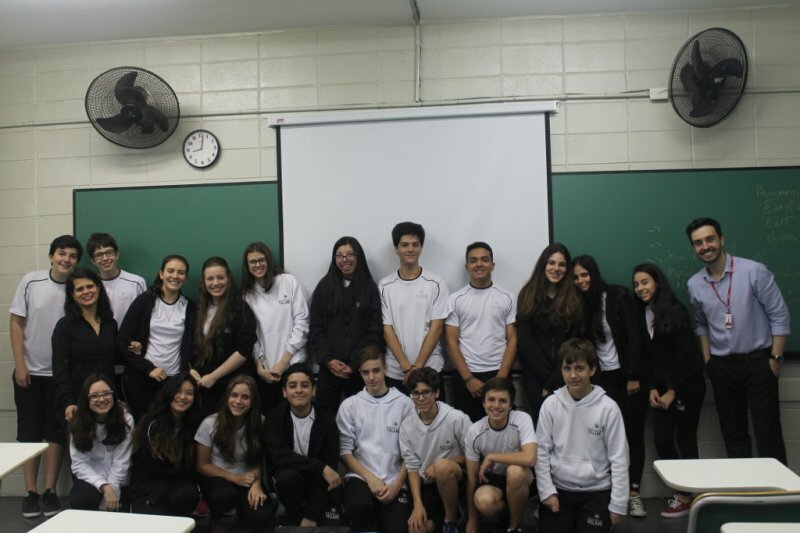 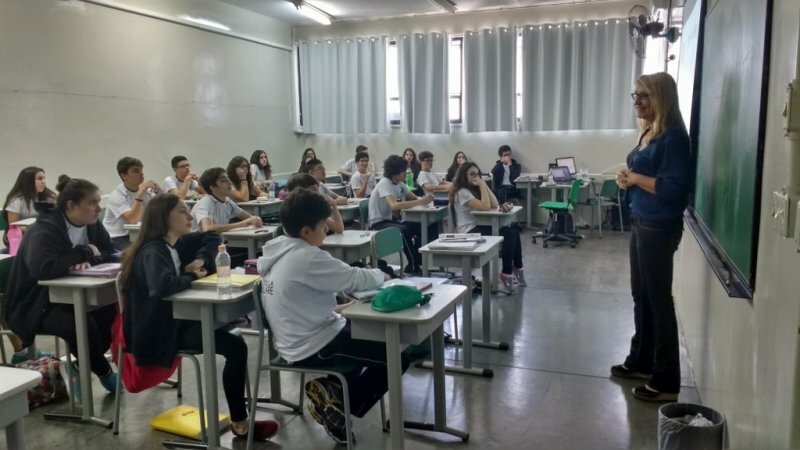 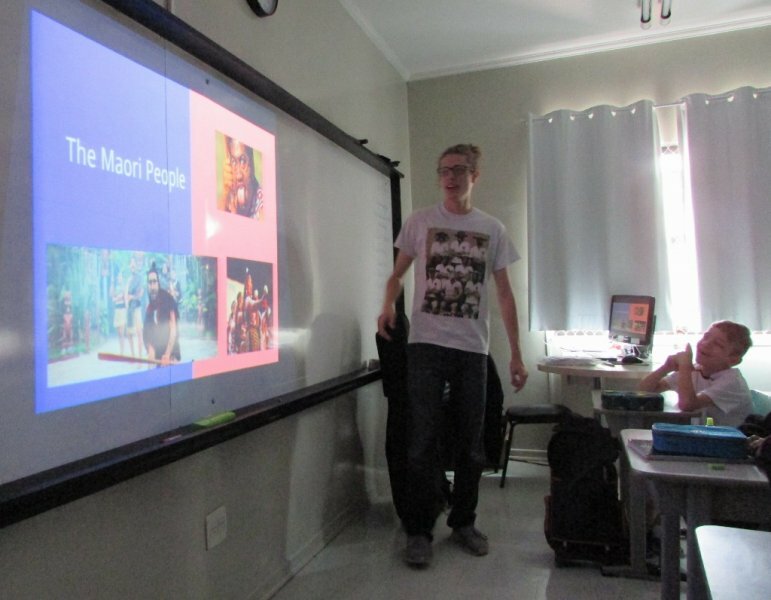 Last but not least, at Ensino Fundamental 1, students from 3rd grades received Guilherme Coelho, ELT consultant at Oxford University Press, who told them the story of Peach Boy. 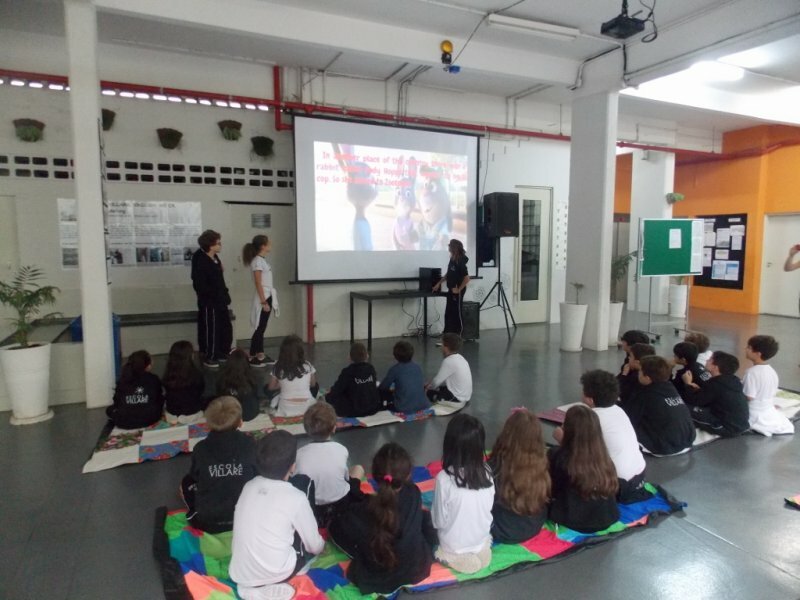 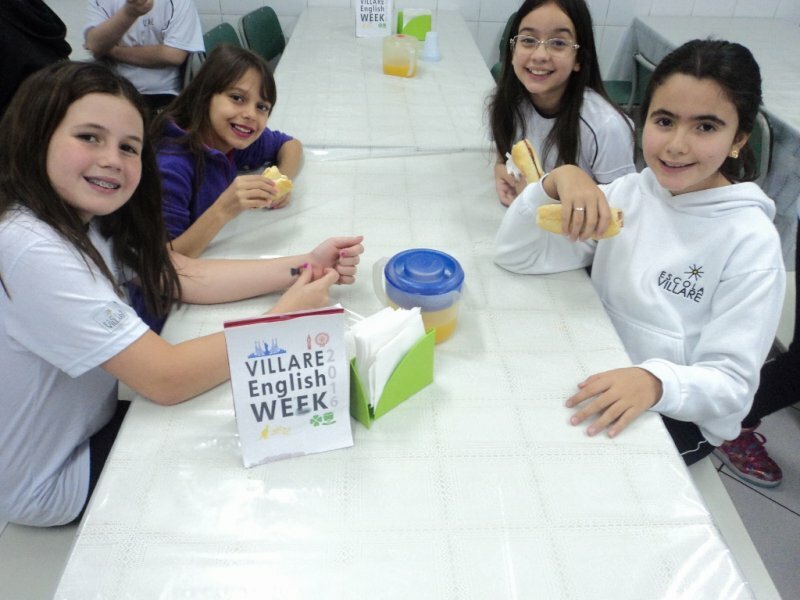 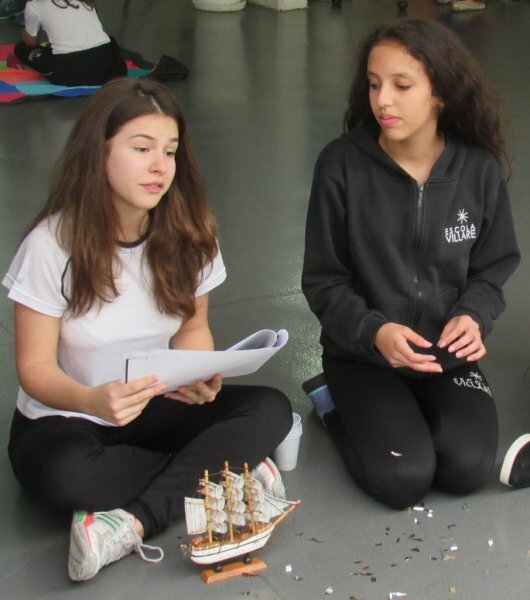 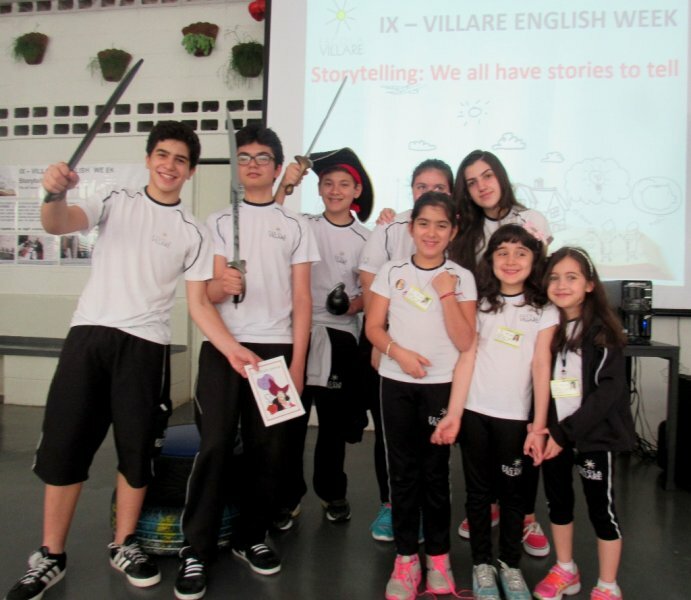 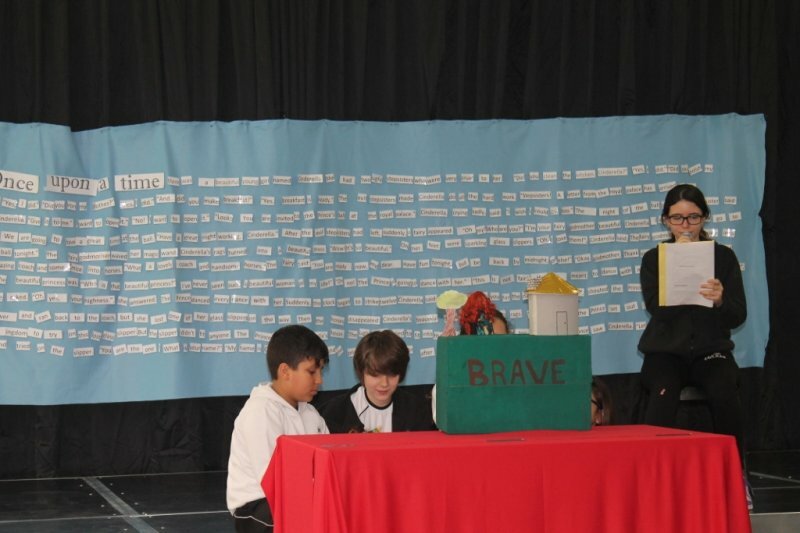 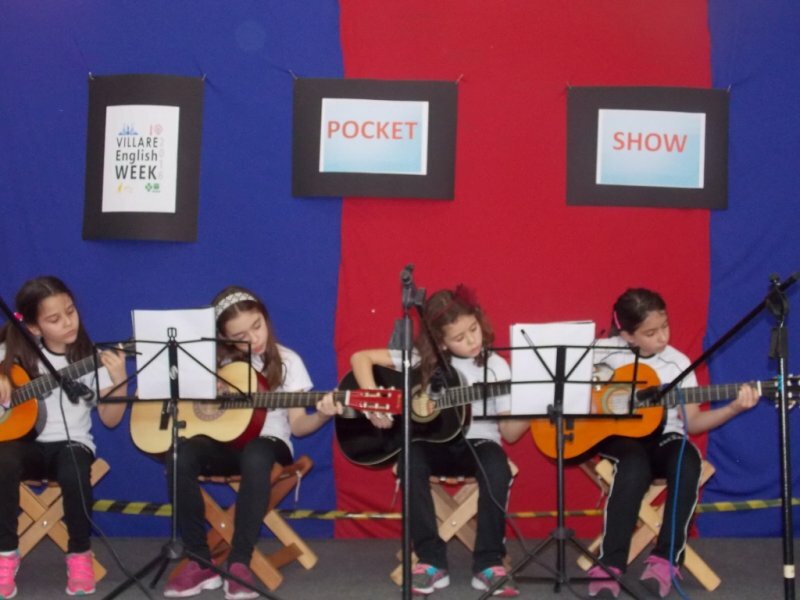 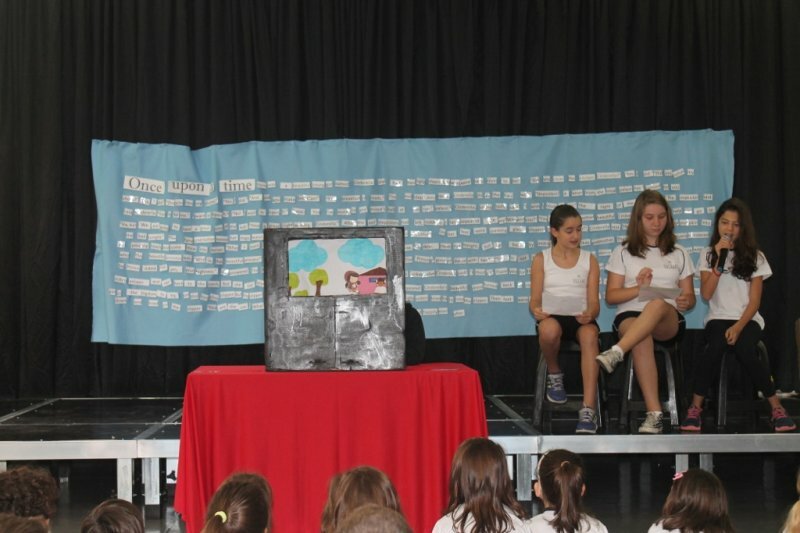 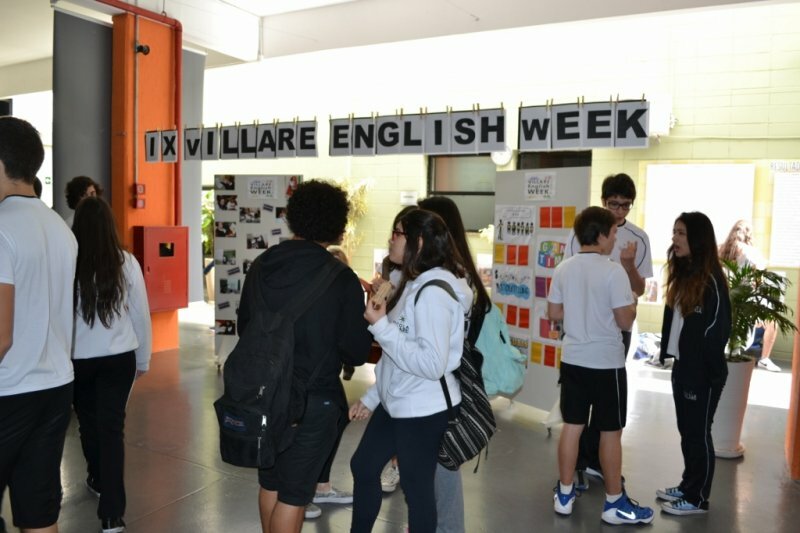 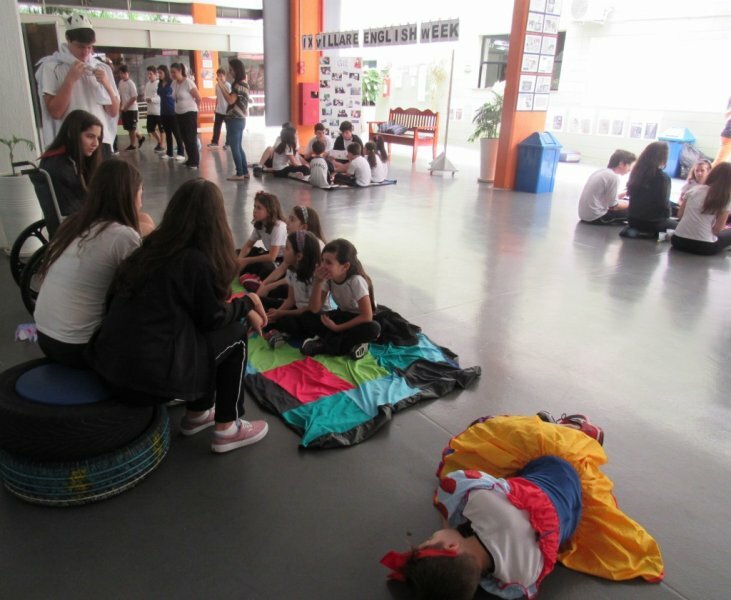 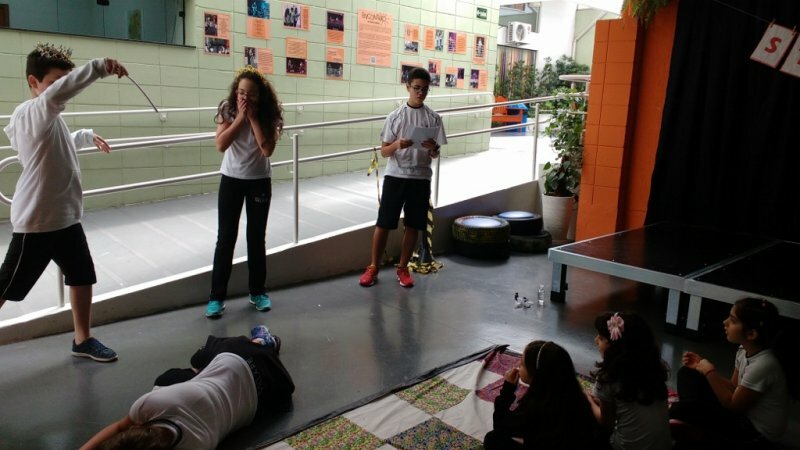 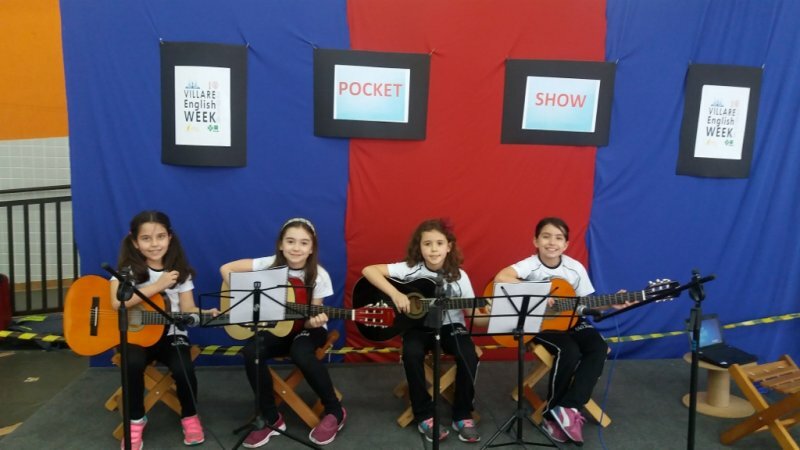 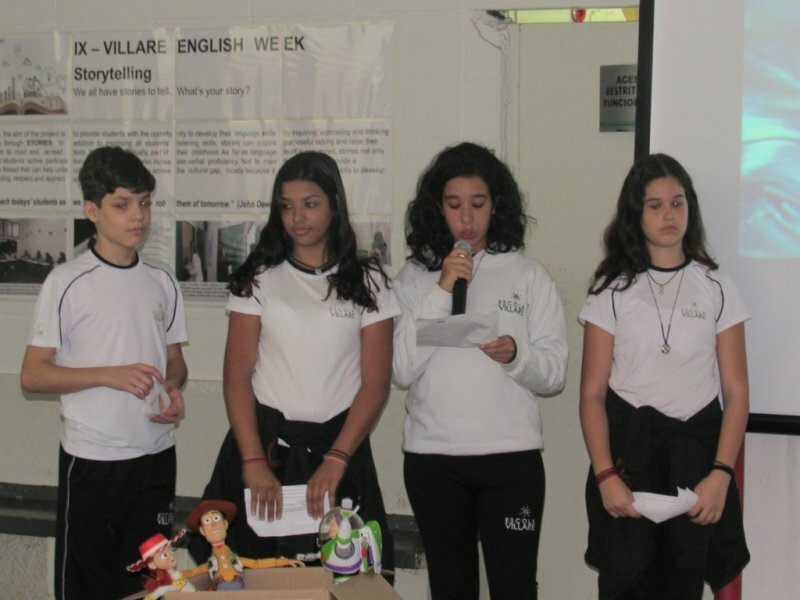 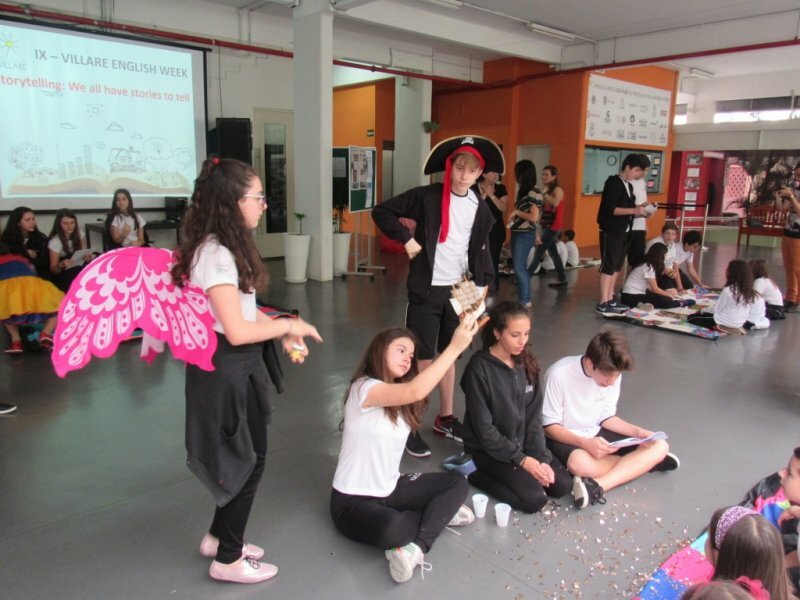 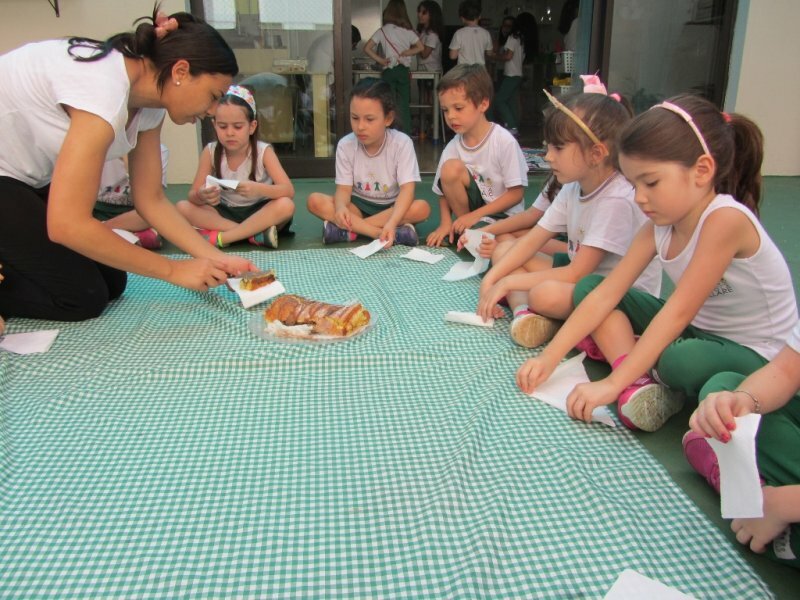 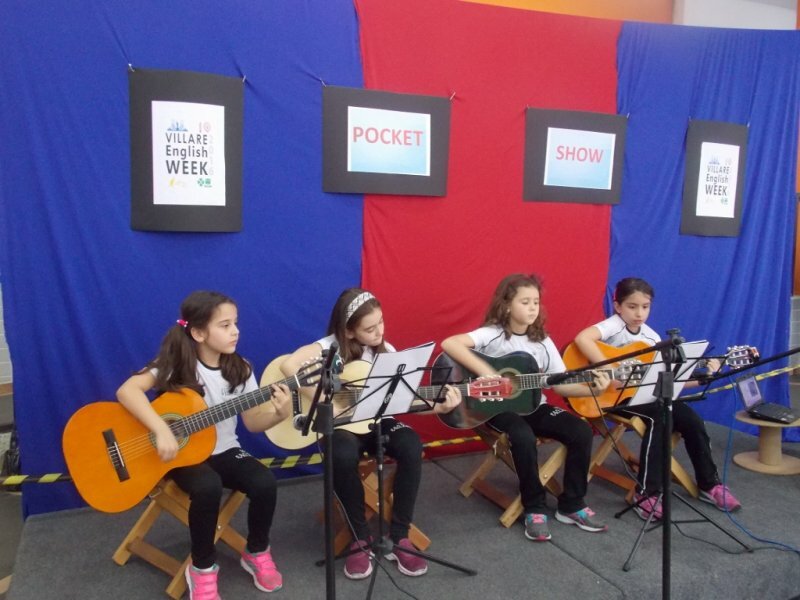 The second day of Villare English Week was also full of activities. 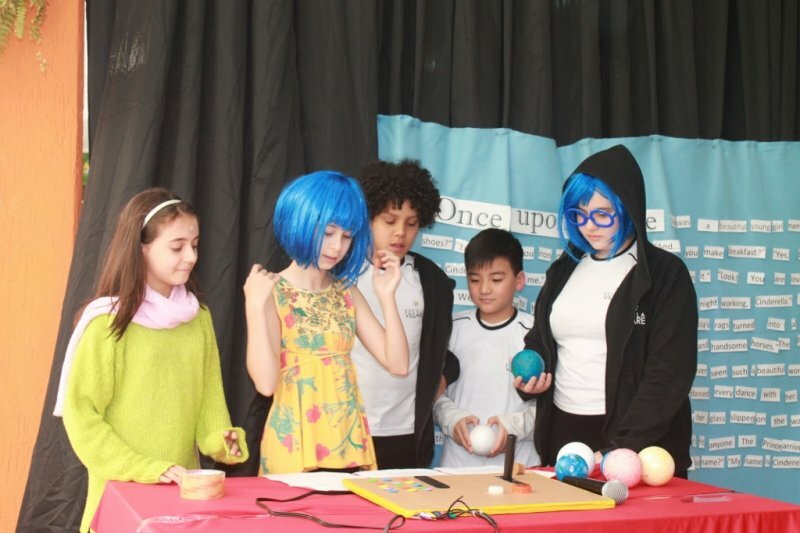 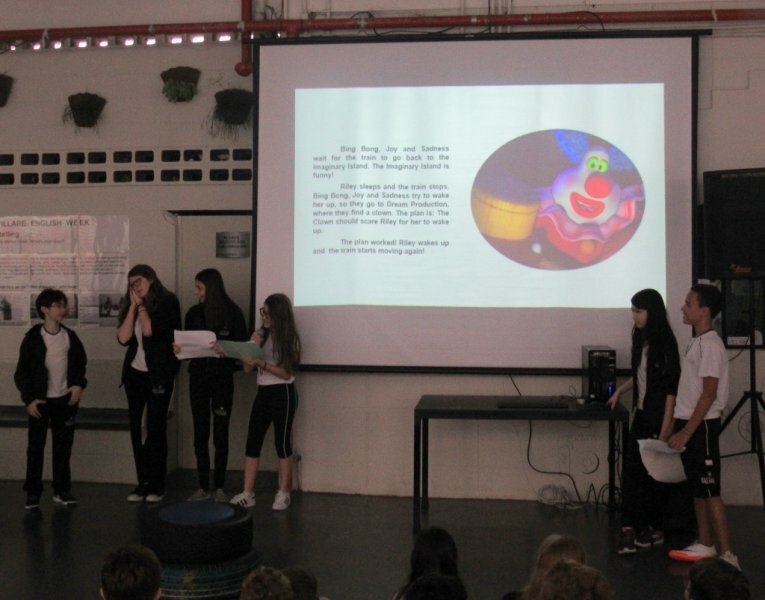 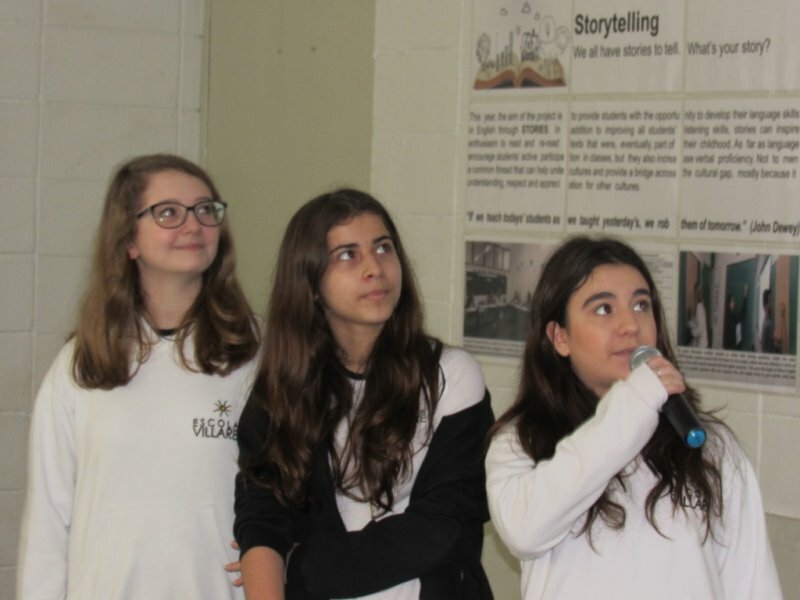 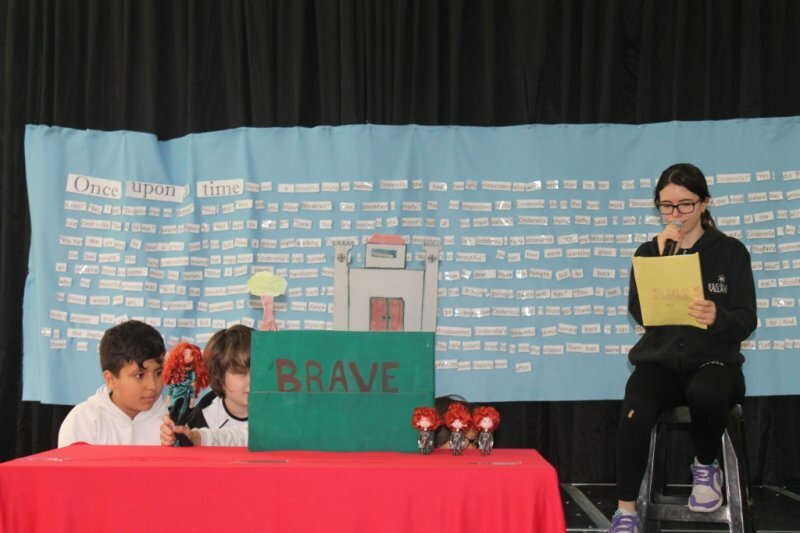 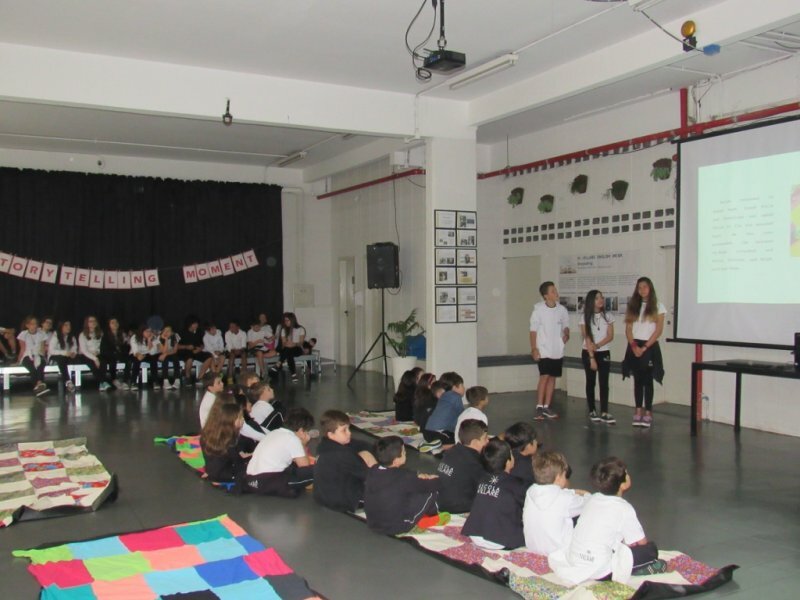 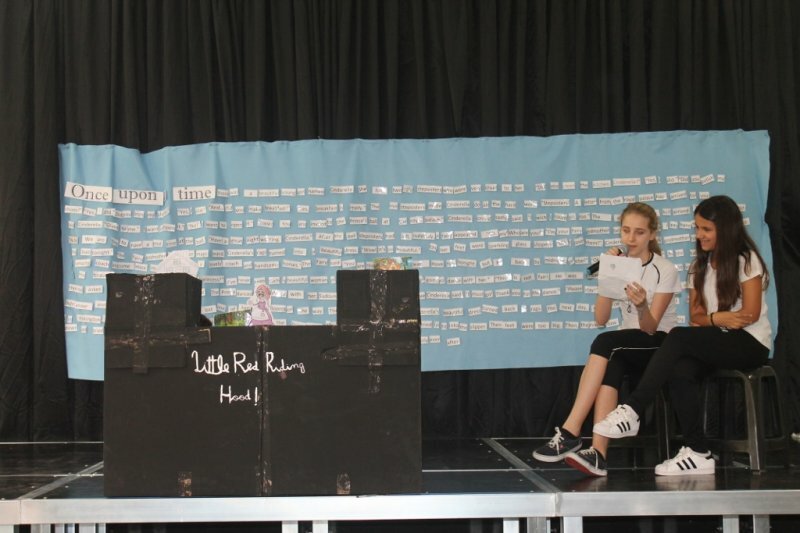 To start with, 7th graders presented the stories they had carefully prepared and organized for students from 3rd grades of Fundamental 1. 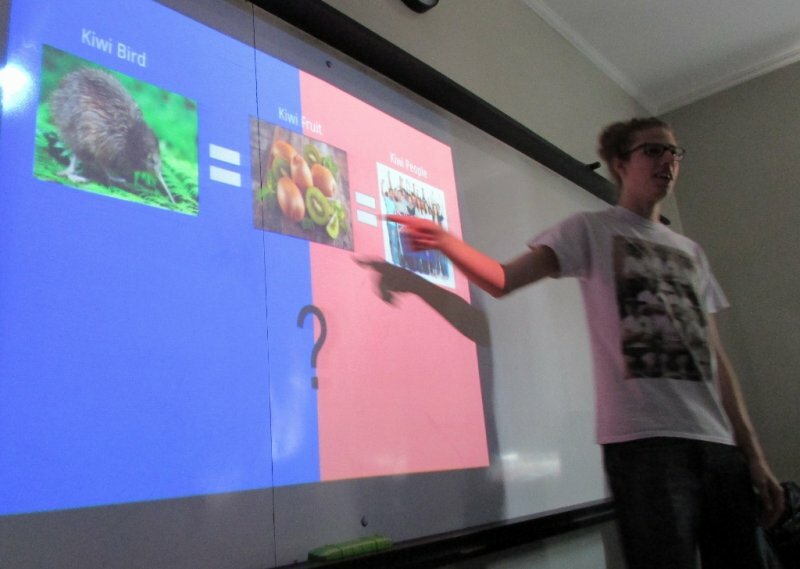 It was really rewarding to witness the amount of knowledge shared among students from such different ages. 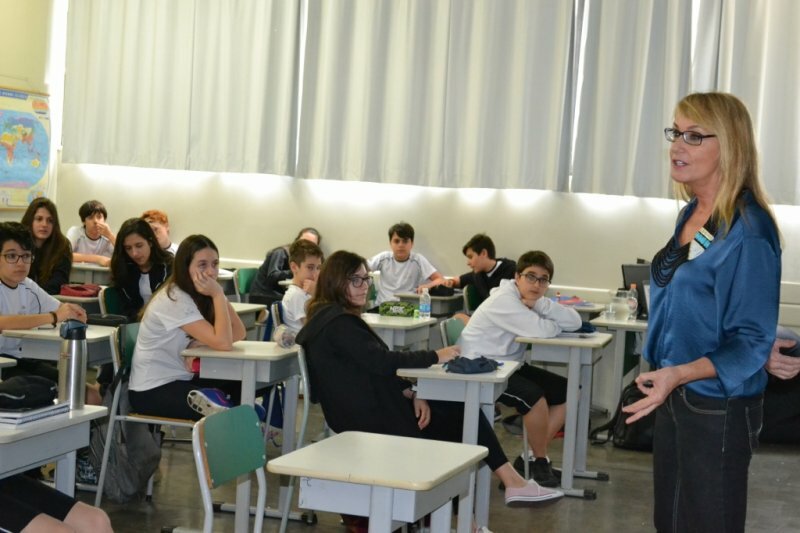 The 9th graders received Alex Tamulis, an academic coordinator at Macmillan who talked about his experience with English around the world. 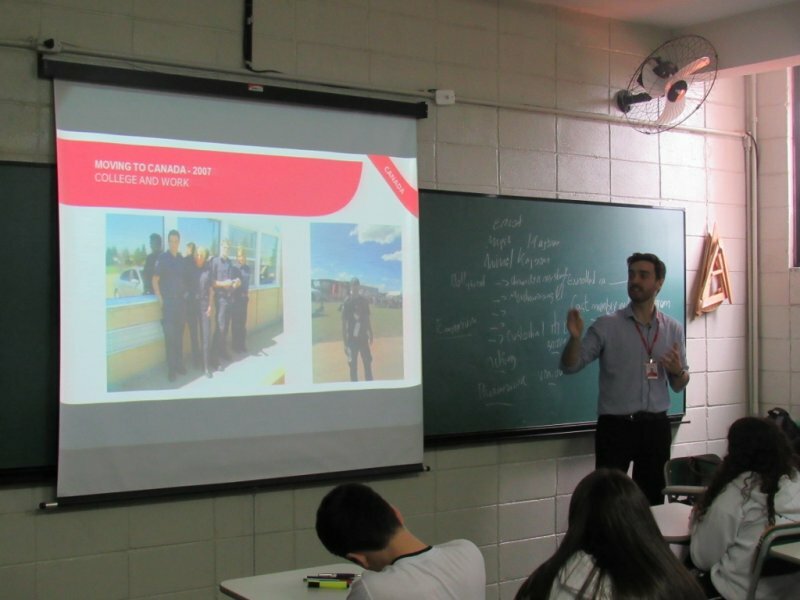 Students got really interested in getting to know more about studying and working abroad. 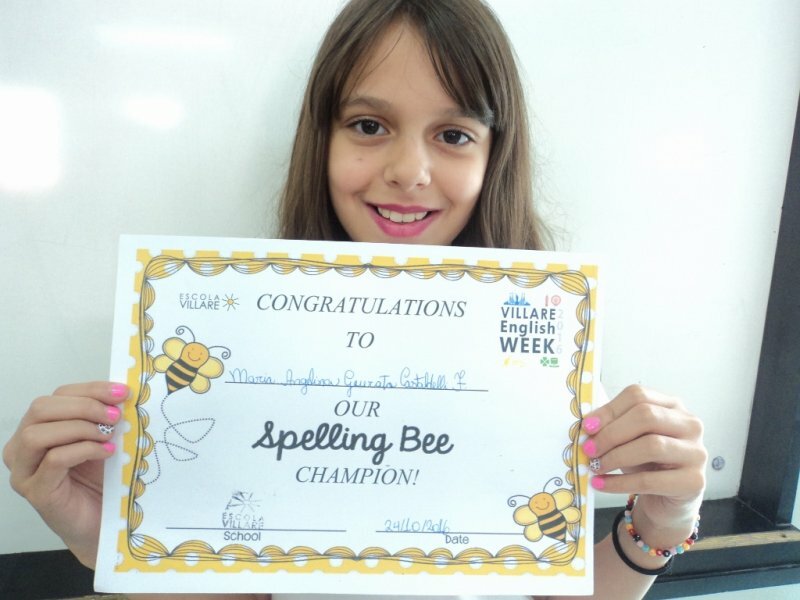 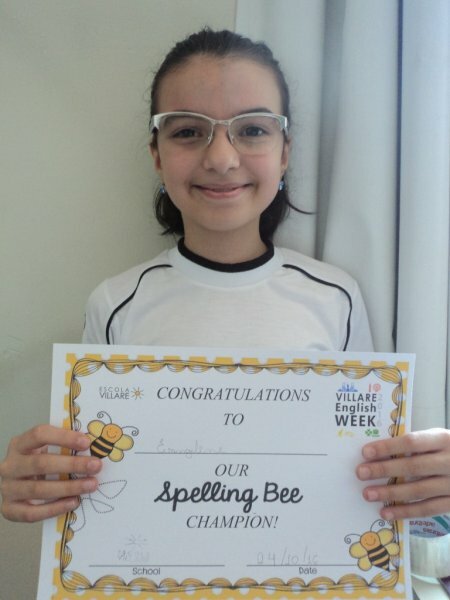 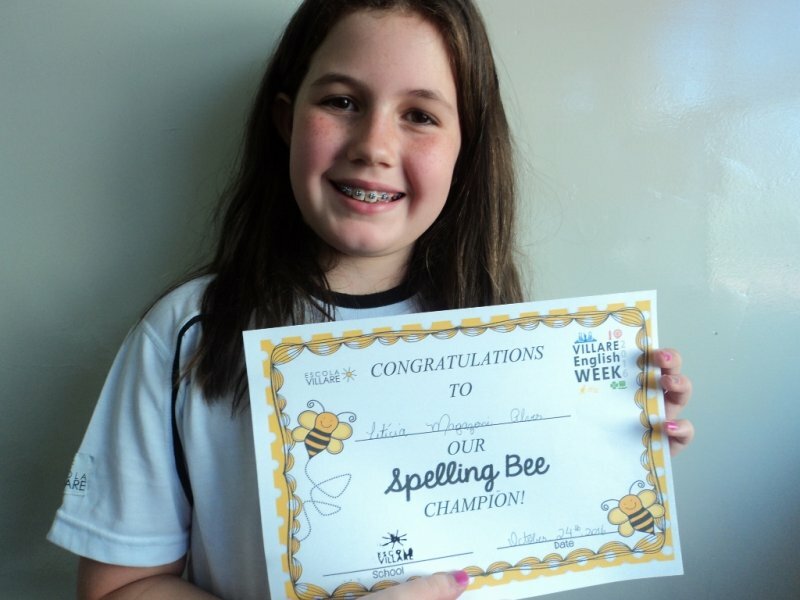 The Spelling Bee also took part in our classes today. 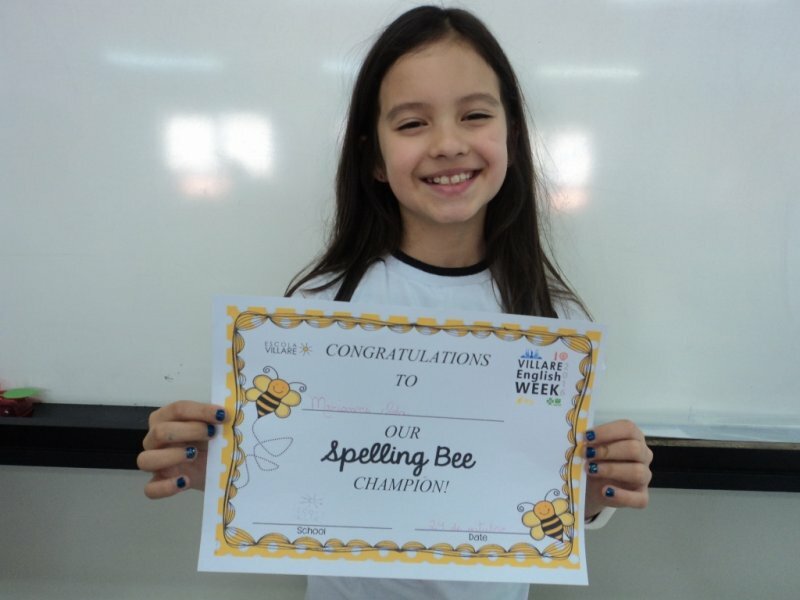 4th, 5th and 6th graders enjoyed playing this classic game which not only helps students with spelling itself but also enables them to revise all the words they have already learnt. 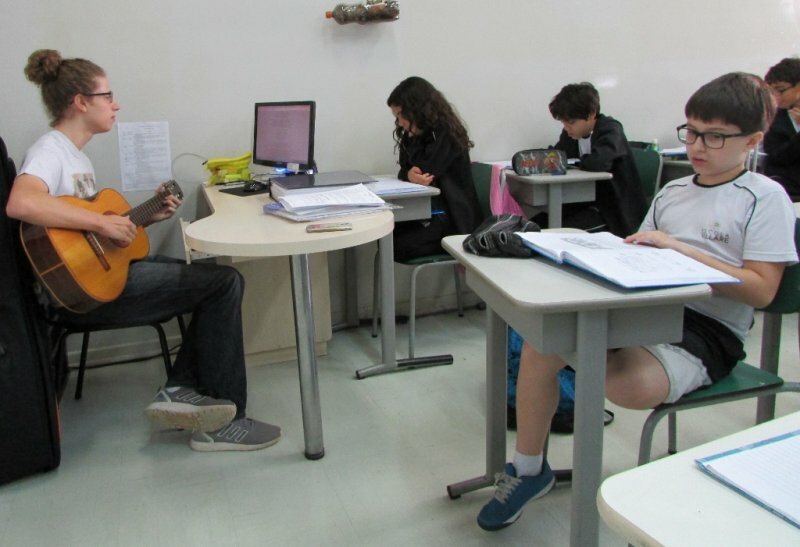 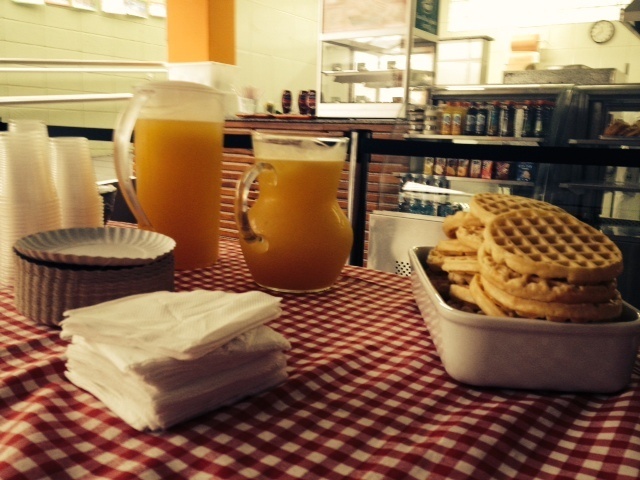 Not to mention that typical food and music (produced by students of High School) were present at break and lunchtime. 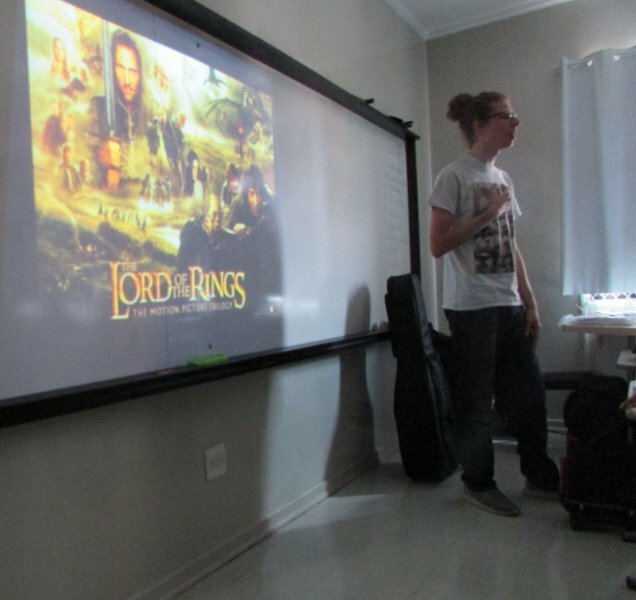 It was a day full of inspiration and learning! 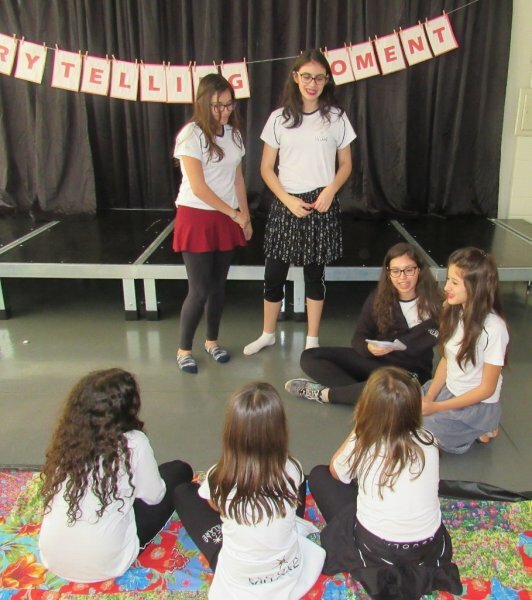 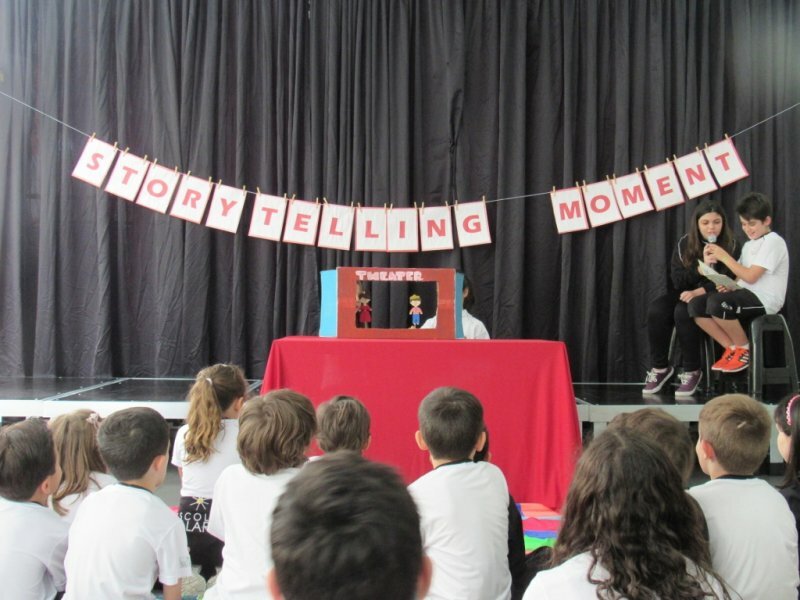 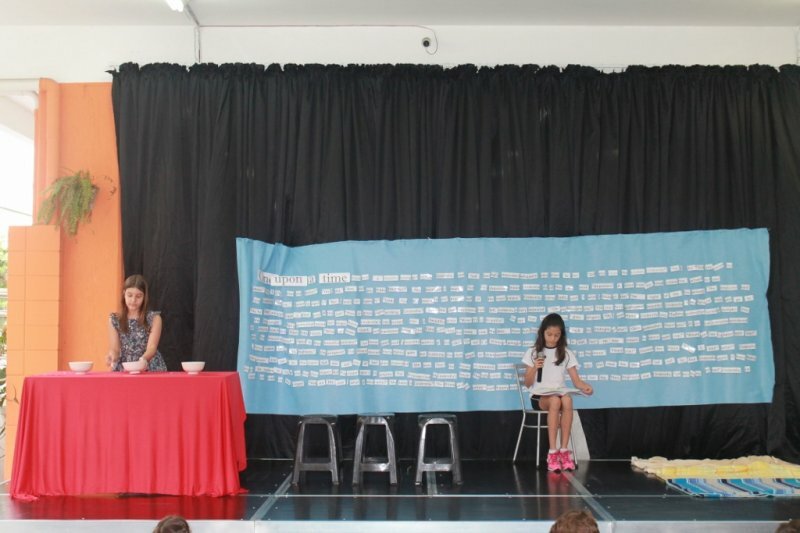 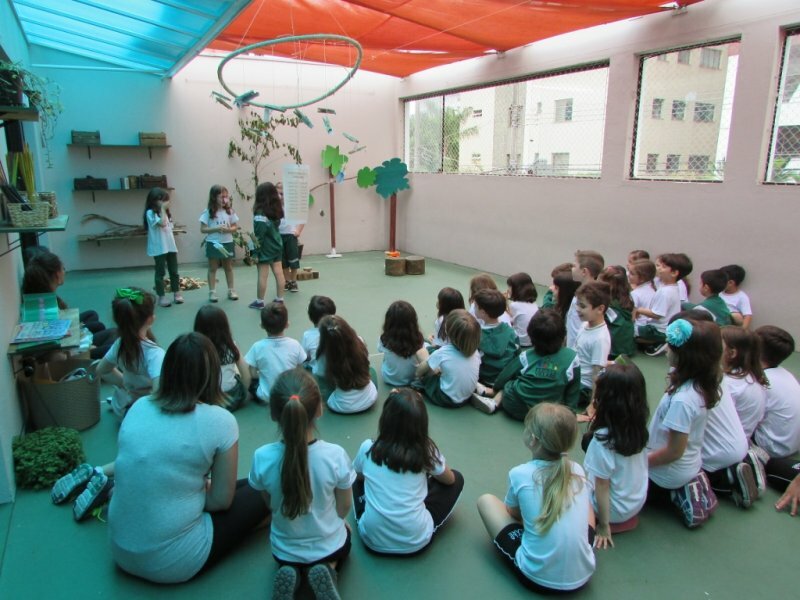 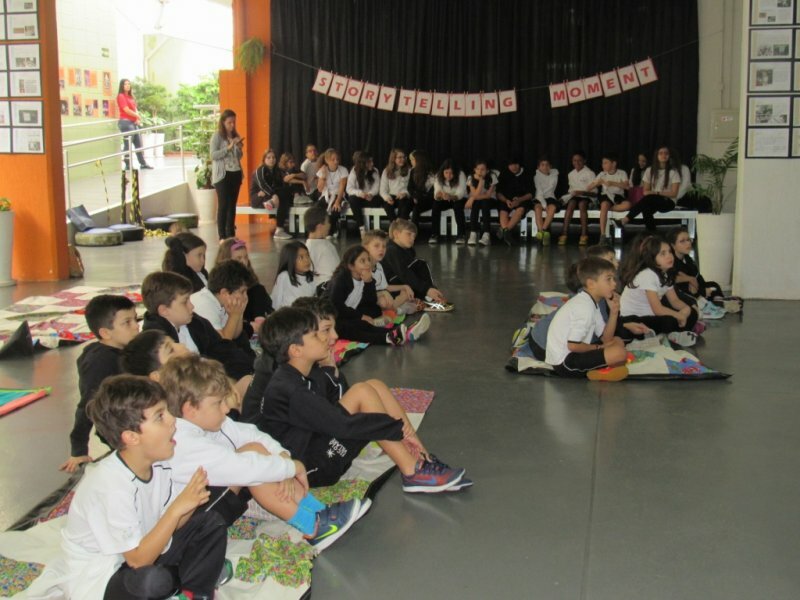 The morning lessons at Fundamental 2 today were designed for students from the 8th grades to tell children from the 2nd grades of Fundamental 1 the stories they had written based on famous movies. 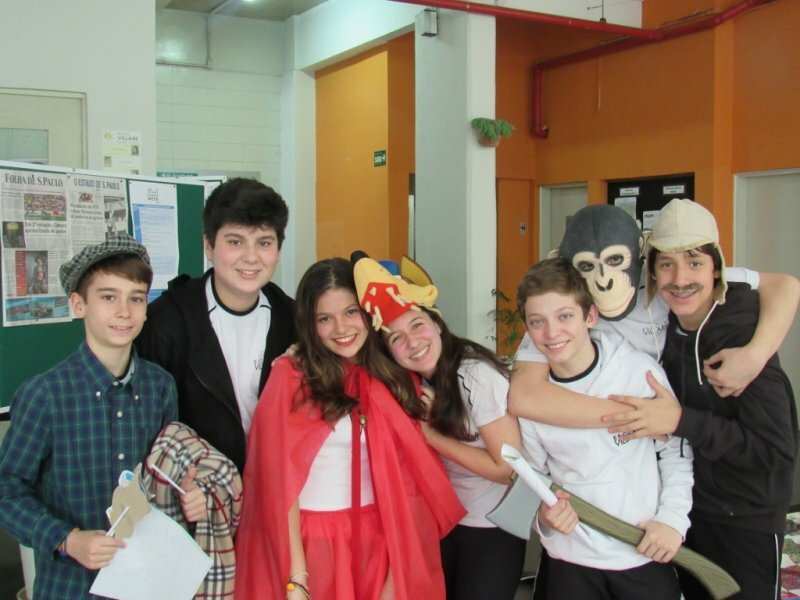 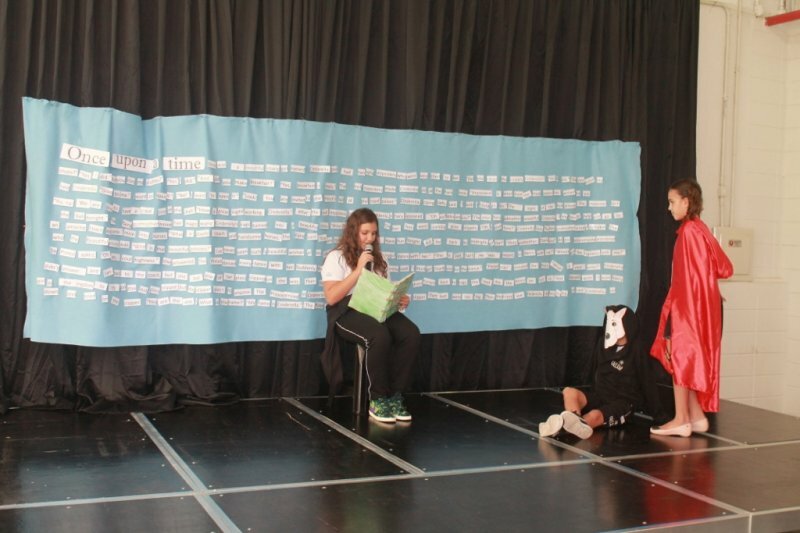 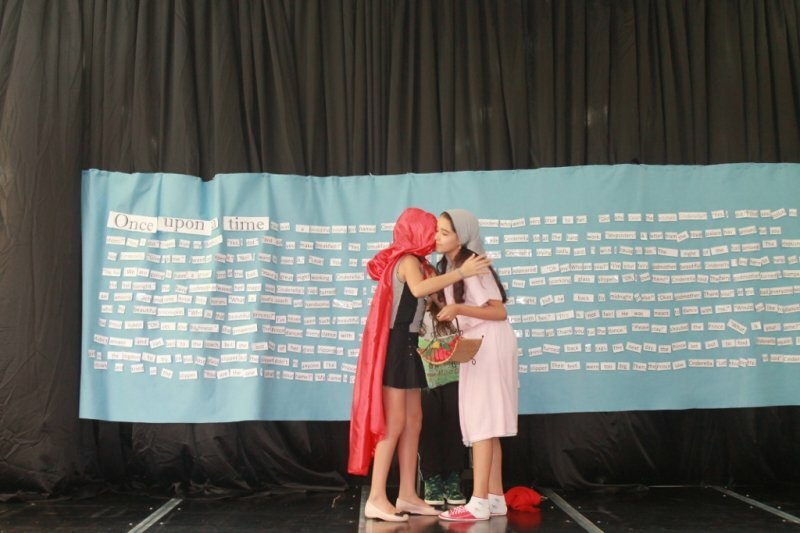 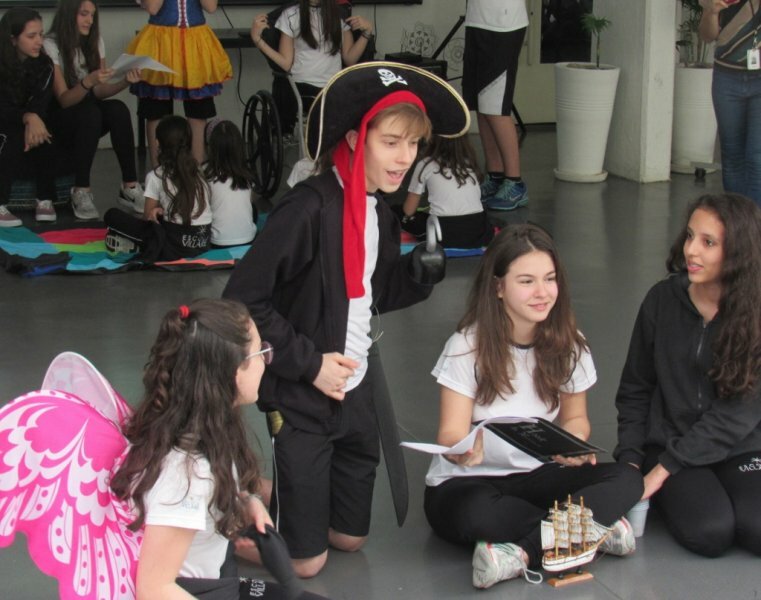 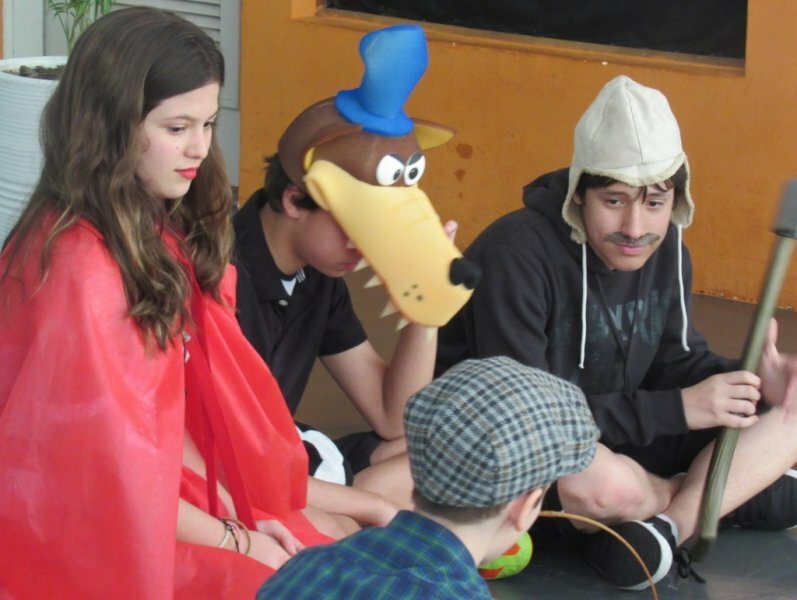 Students had lots of fun watching teenagers dressed up in costumes while they performed their dramatic reading passages. 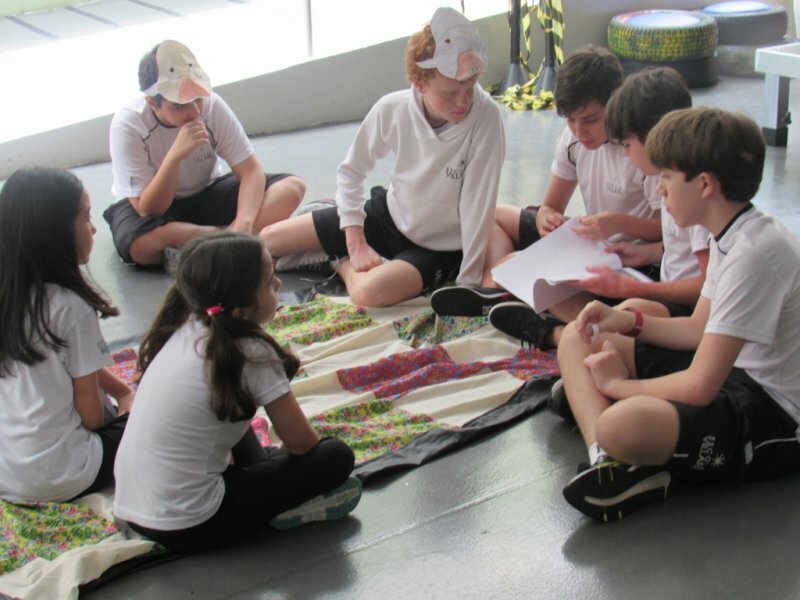 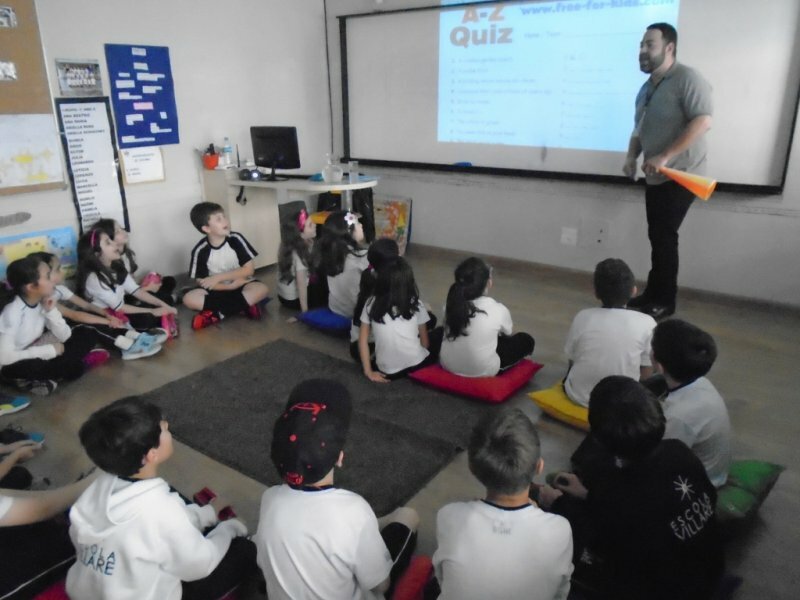 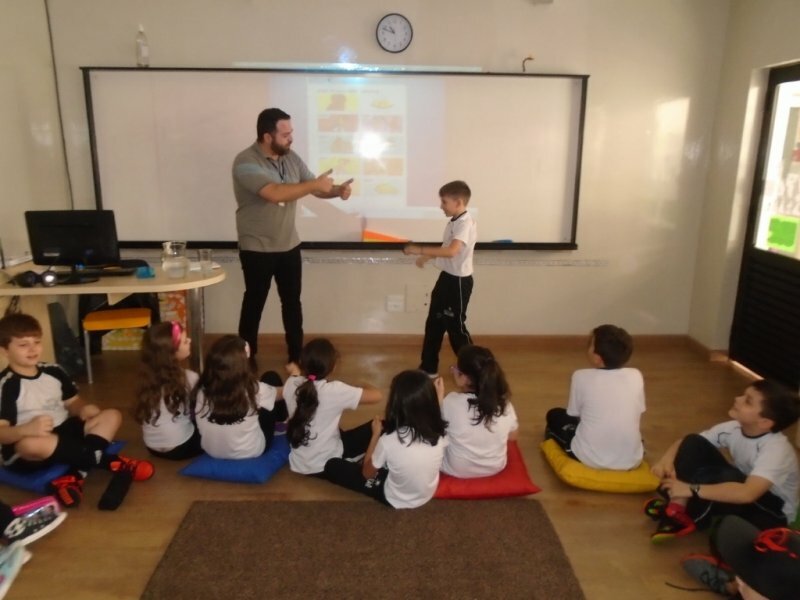 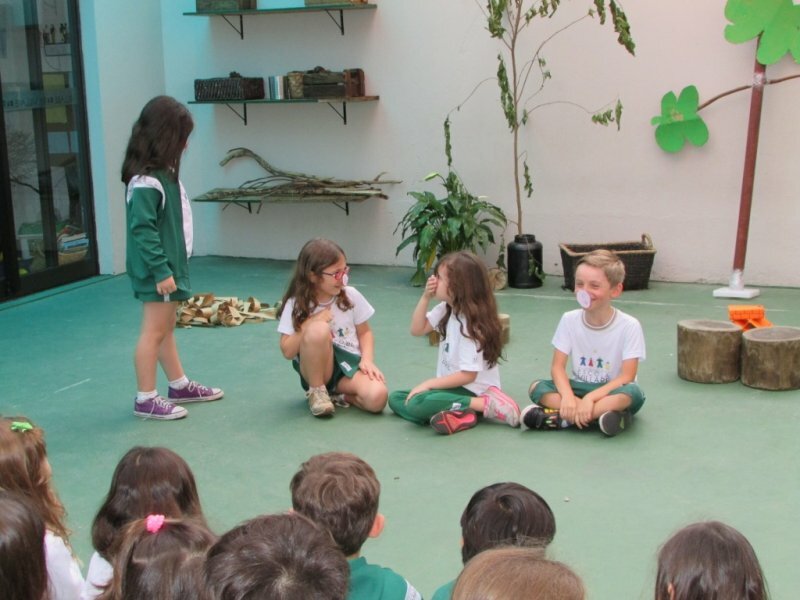 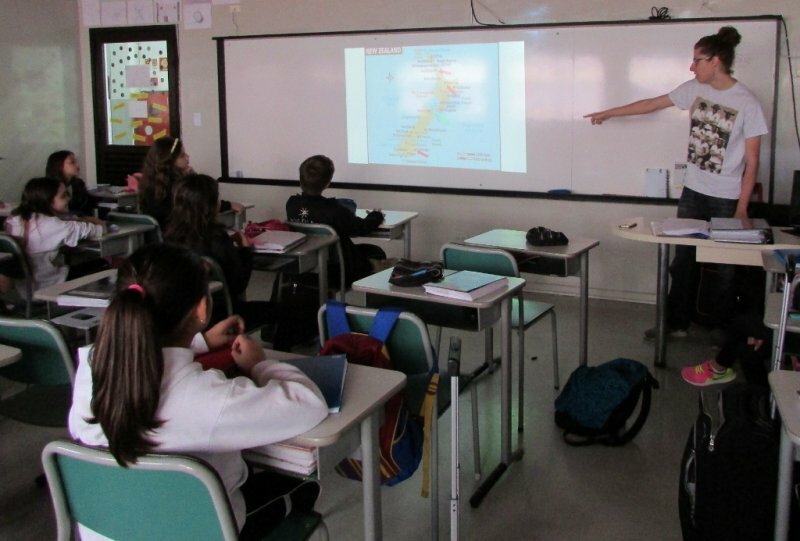 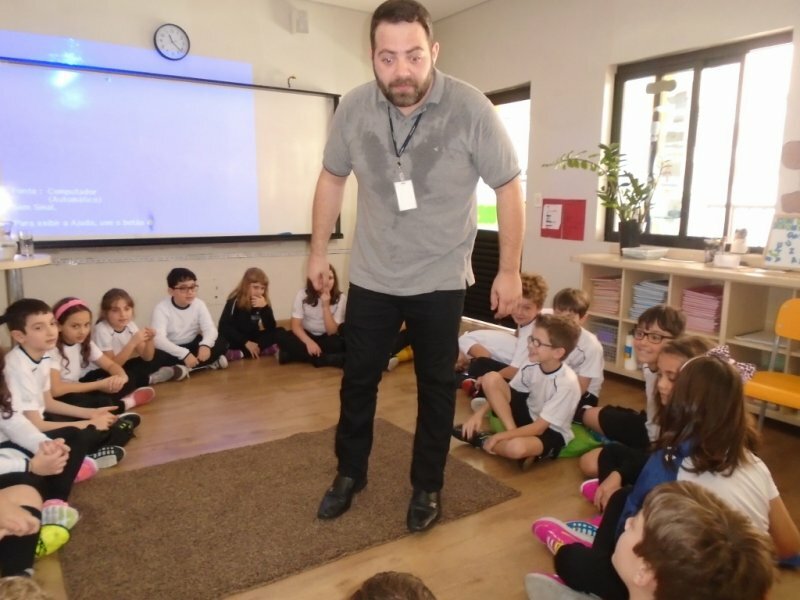 At Fundamental 1, 4th and 5th graders received José Pedro Ferraz, a former student at Villare, who brought many curiosities about New Zealand. 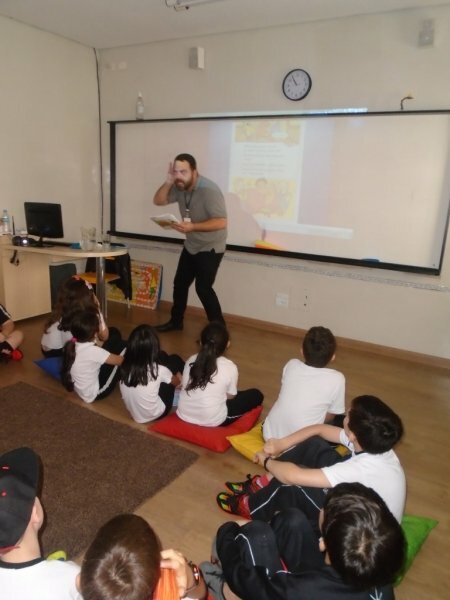 As he has recently lived in this country, he could tell children issues related to local animals, sports and music. 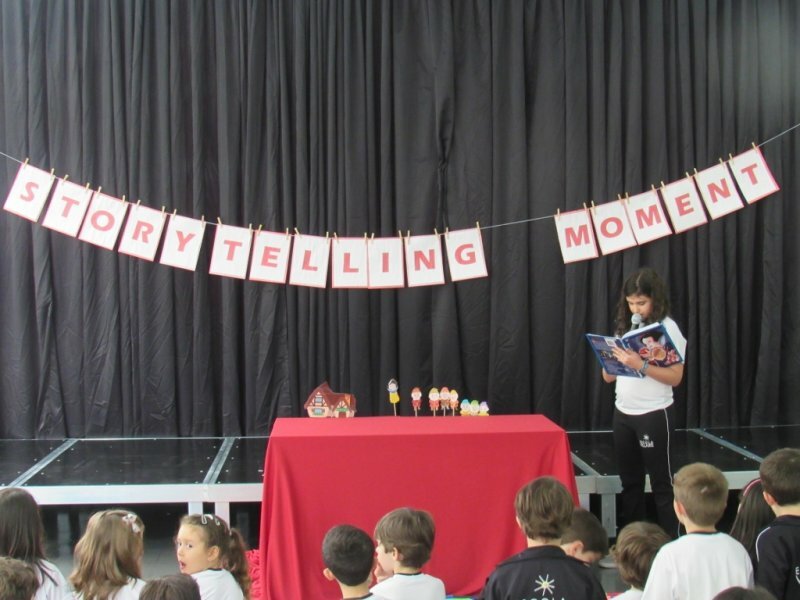 Little Red Riding Hood, The Three Little Pigs and Pinocchio were some of the stories told by 6th grade students to 1st graders today. 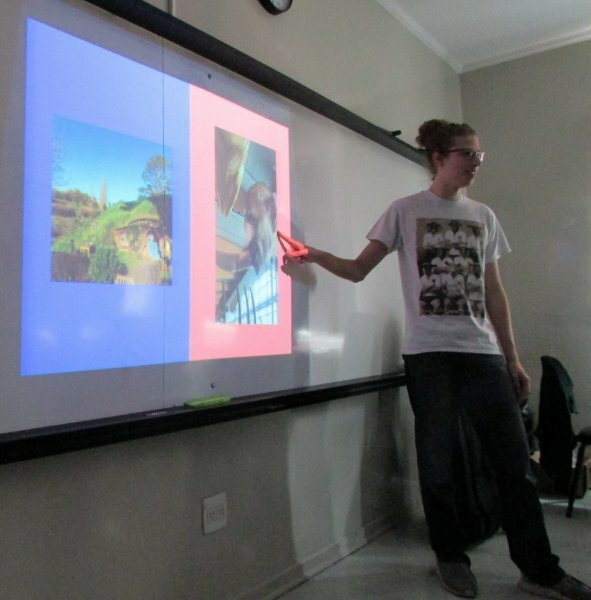 The kids were amazed at the scenery which had been created by the teenagers. 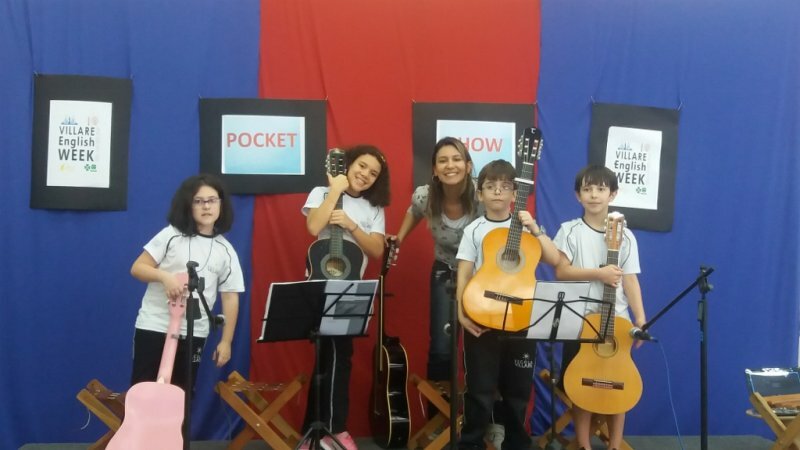 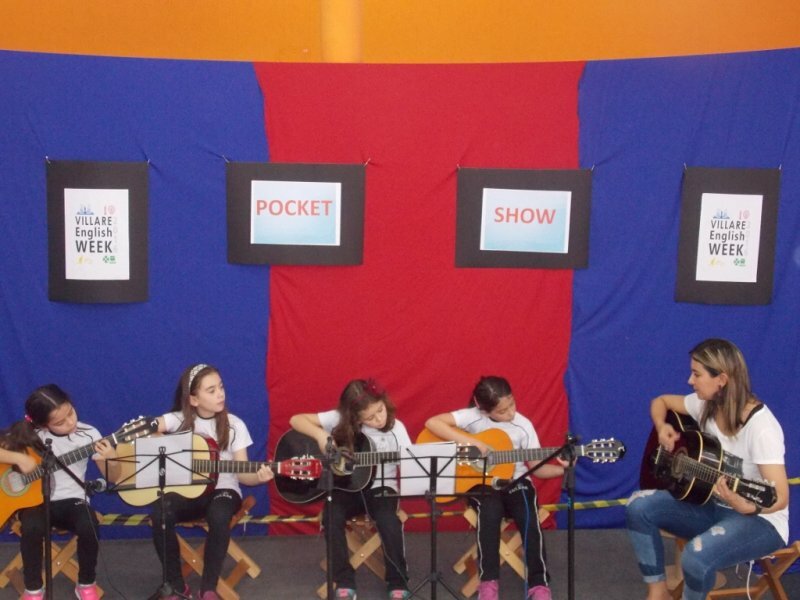 A pocket show surprised students during the break. 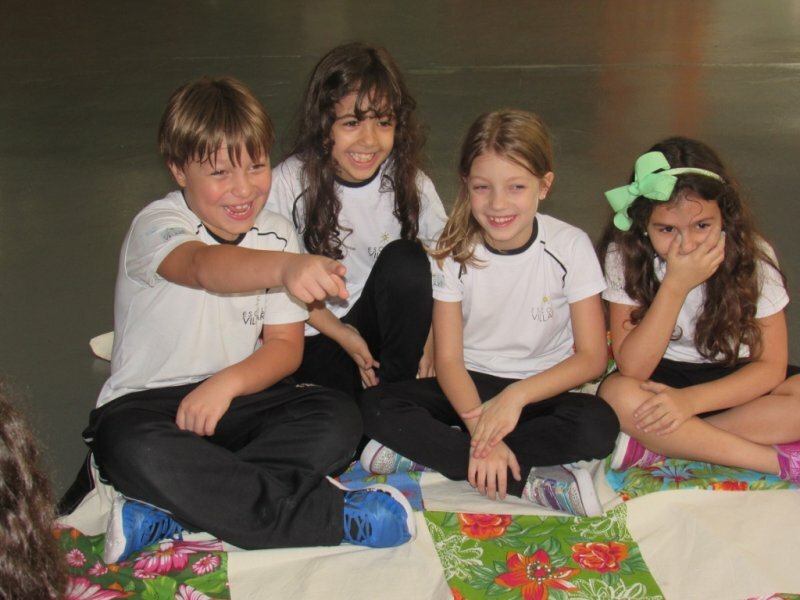 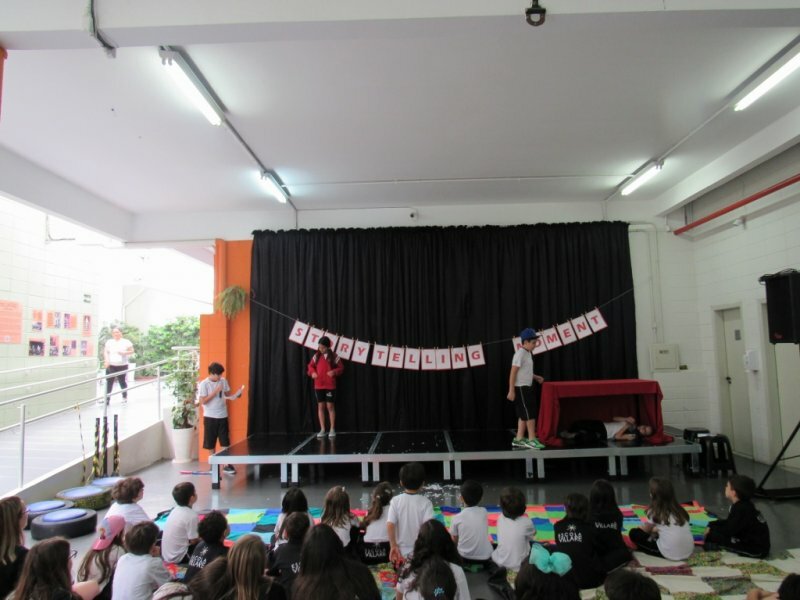 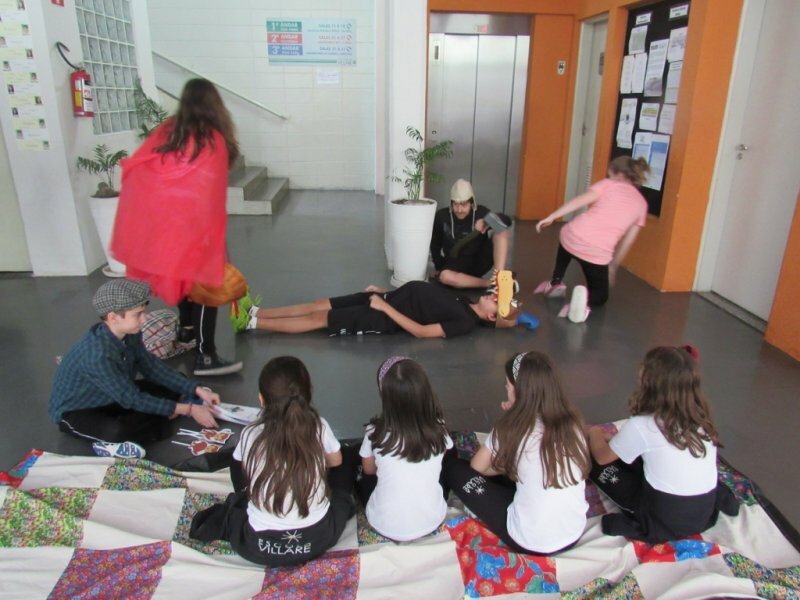 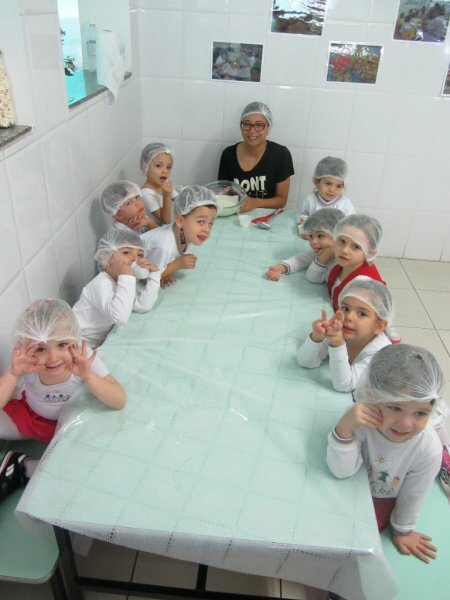 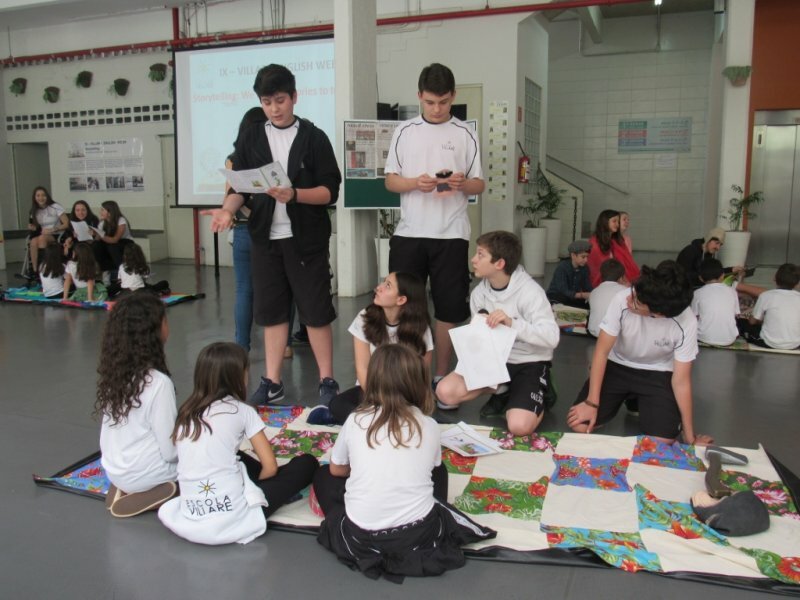 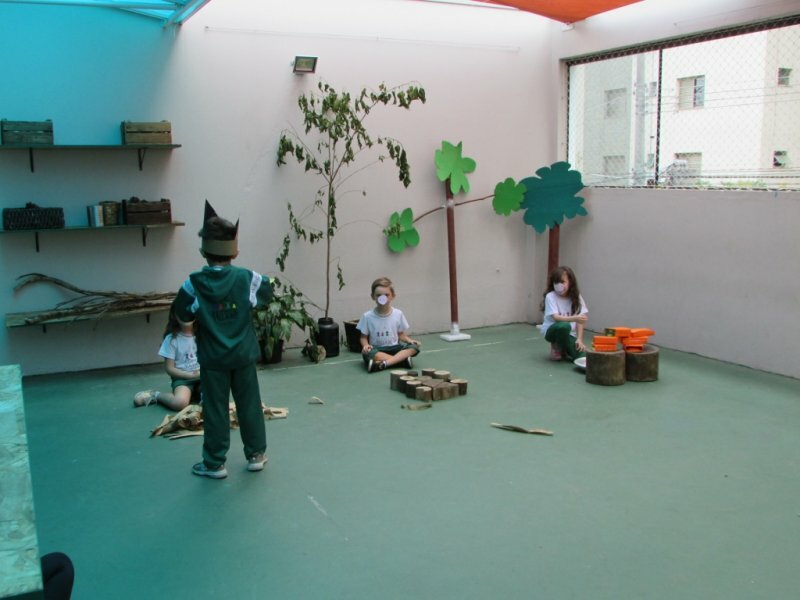 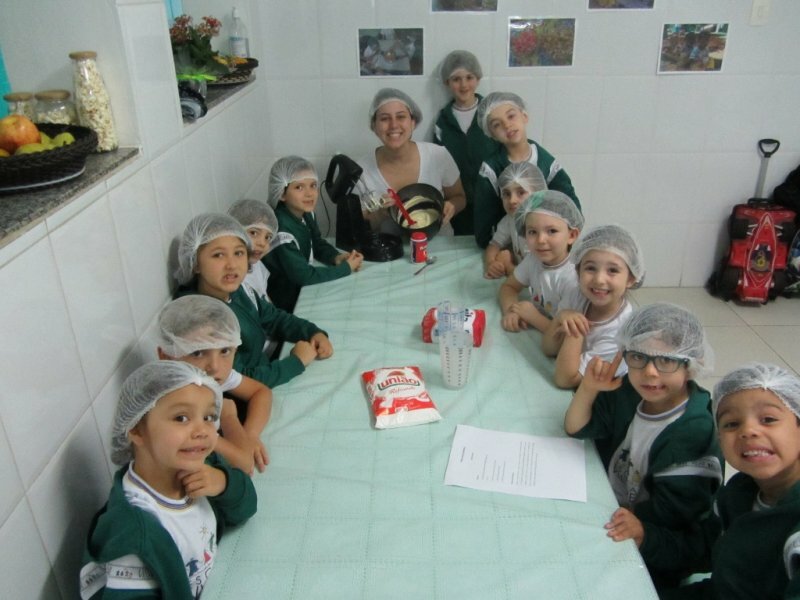 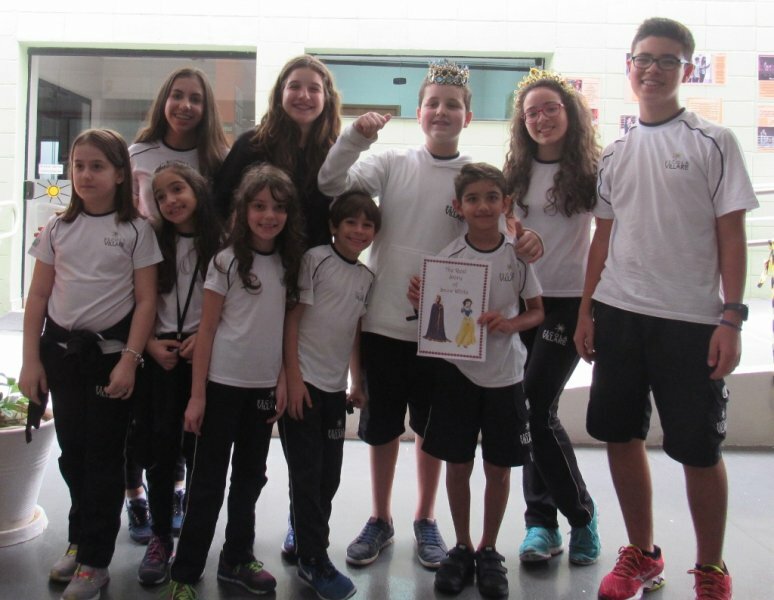 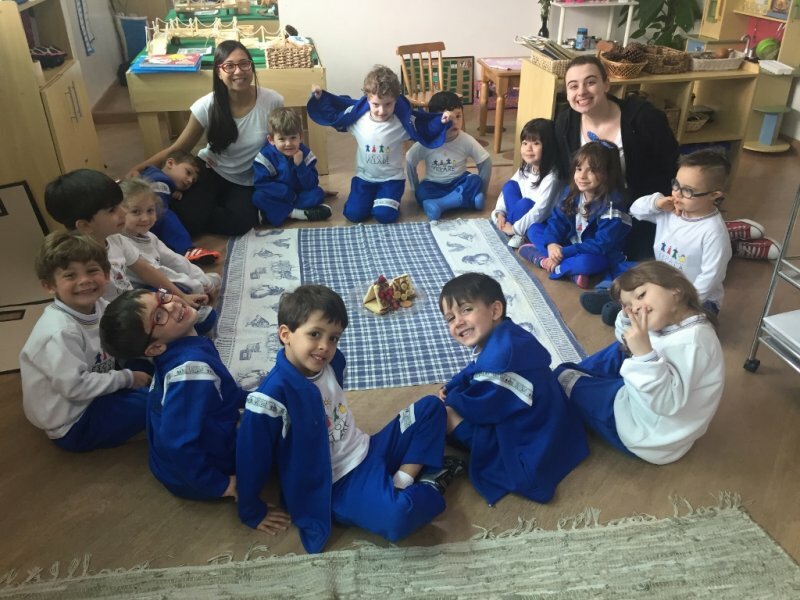 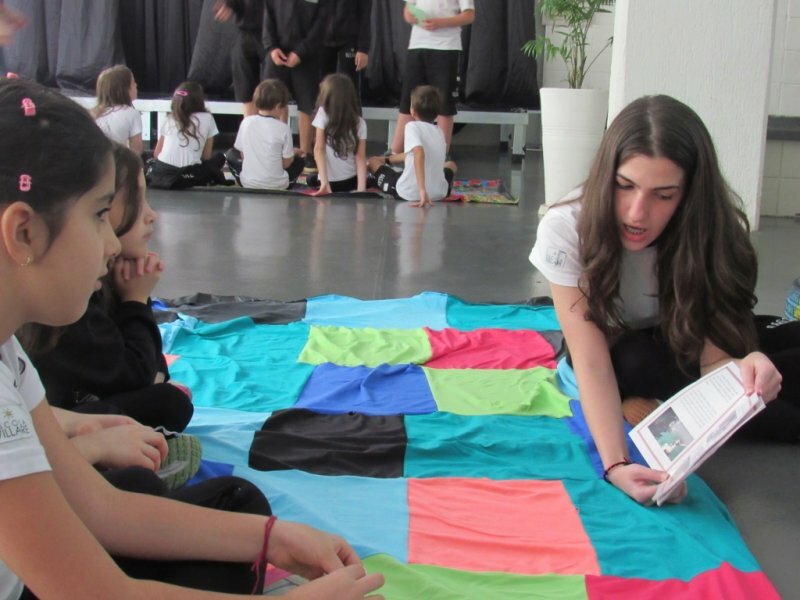 The children from Educação Infantil also got into our English Week! 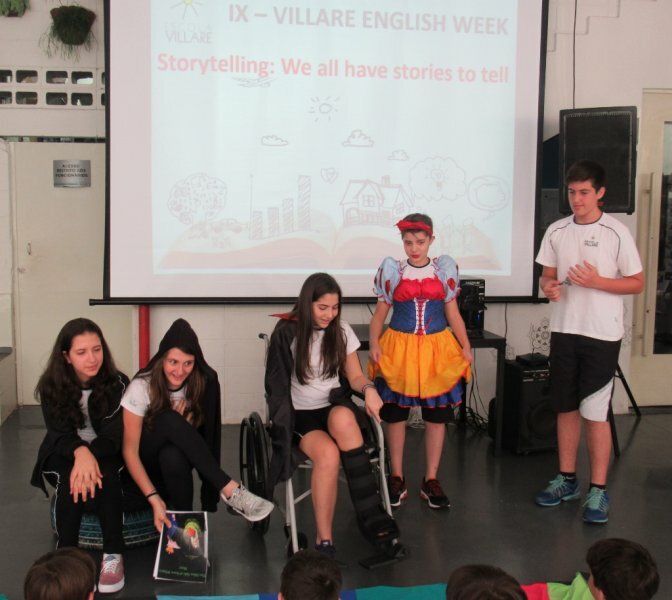 This time, we met stories like “Goldilocks”, “Hansel and Gretel” and “The amazing story of Rodolfo and Valeska”! 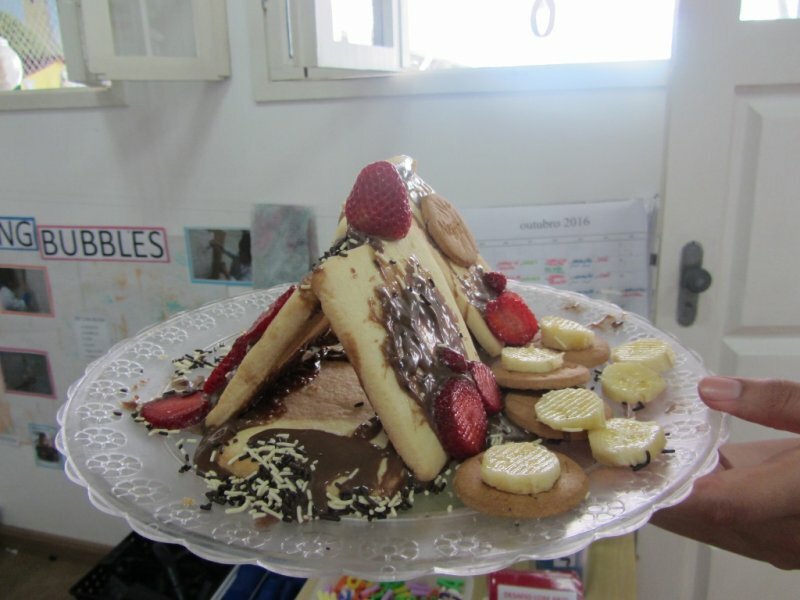 To better enjoy our storytelling time, we decided to create some of the recipes we see in the stories. 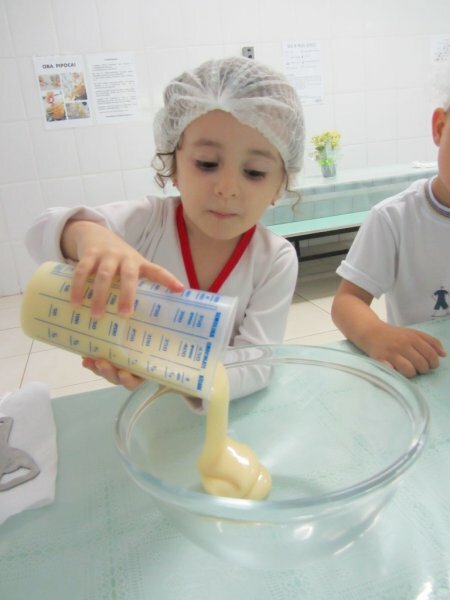 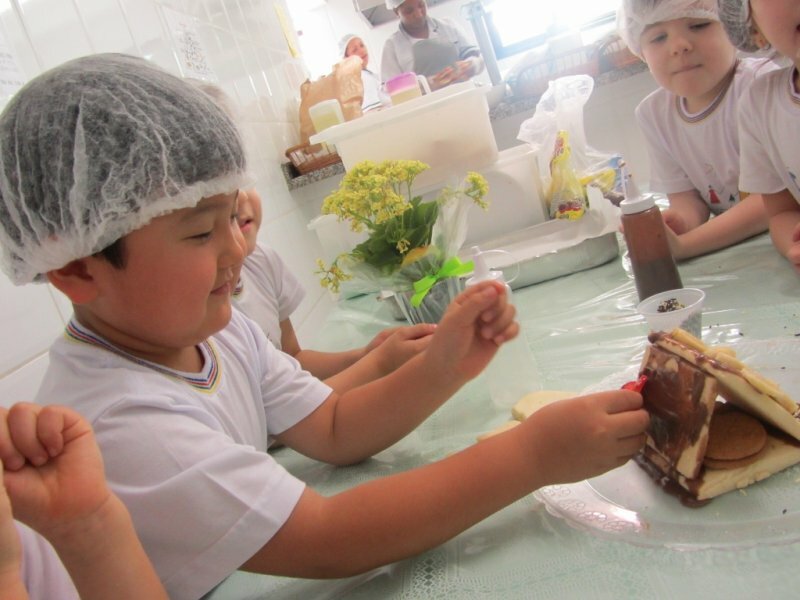 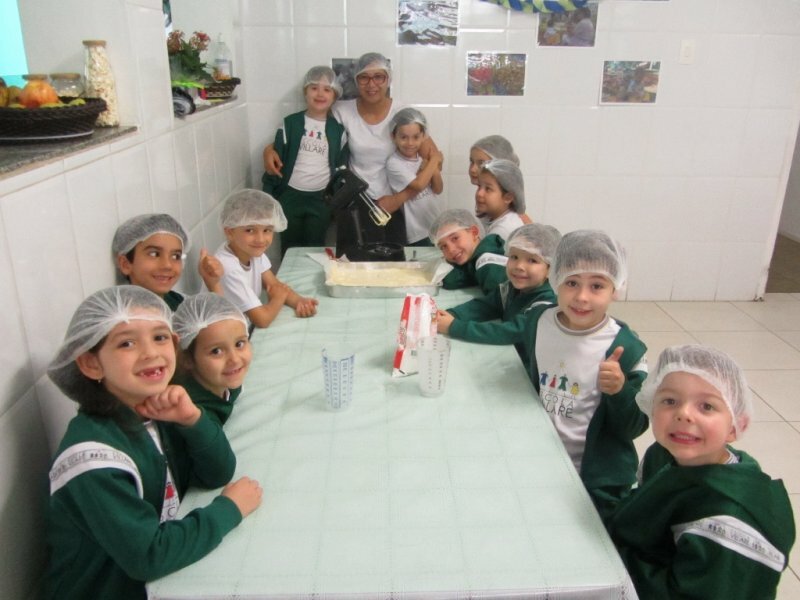 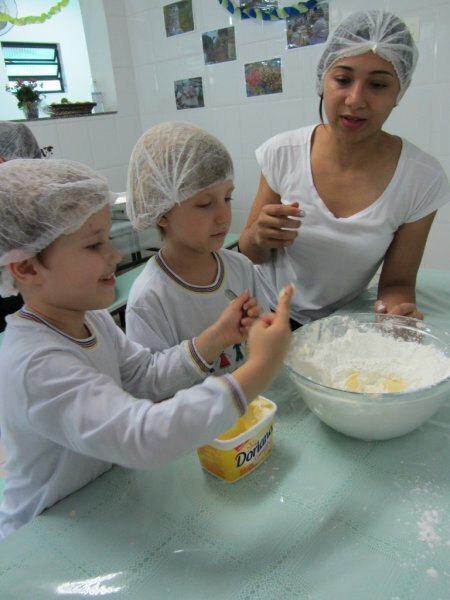 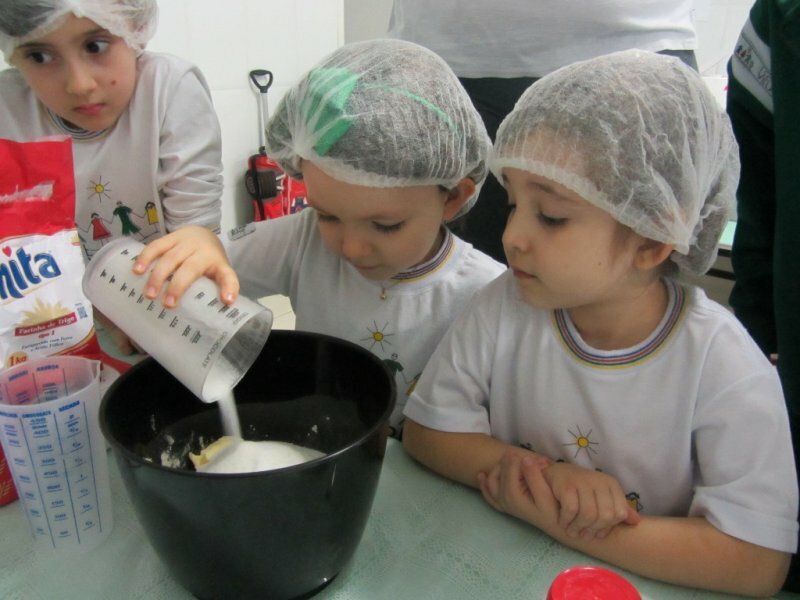 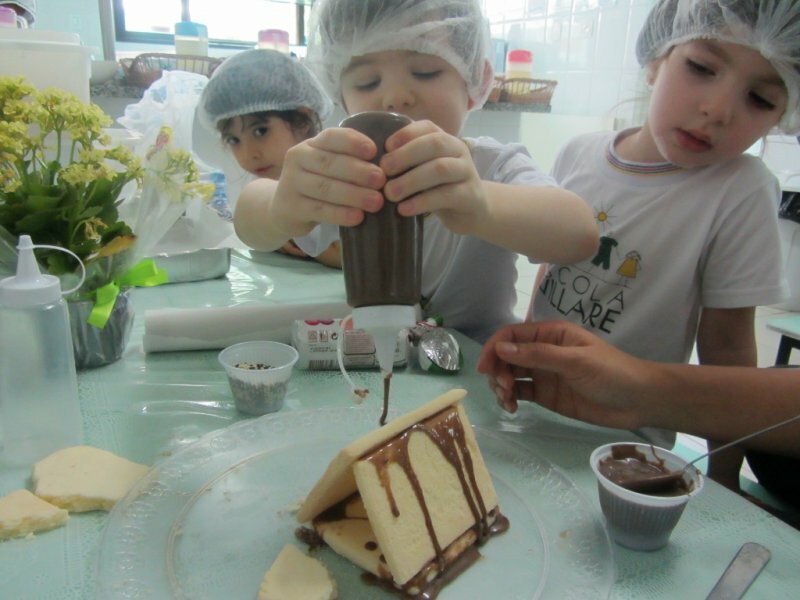 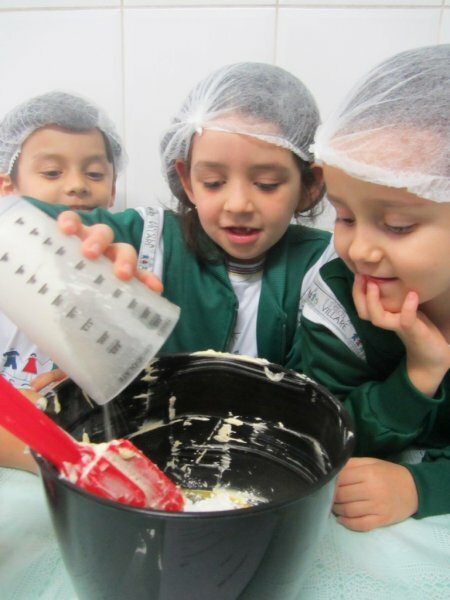 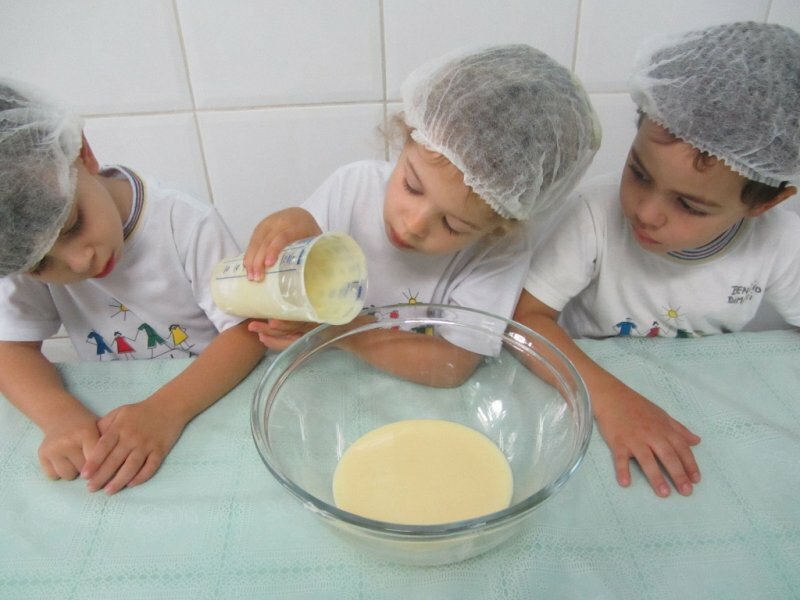 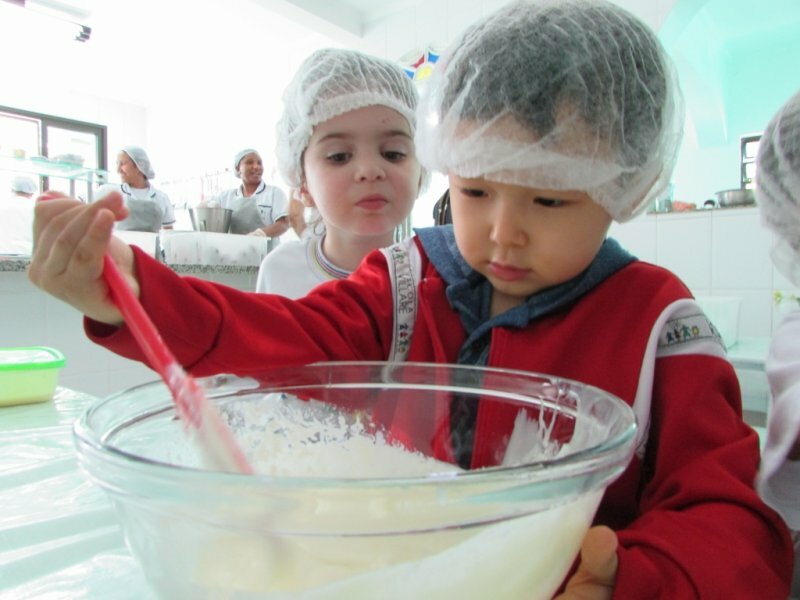 We went to the kitchen and there we mixed flour, sugar, butter, eggs and much more. 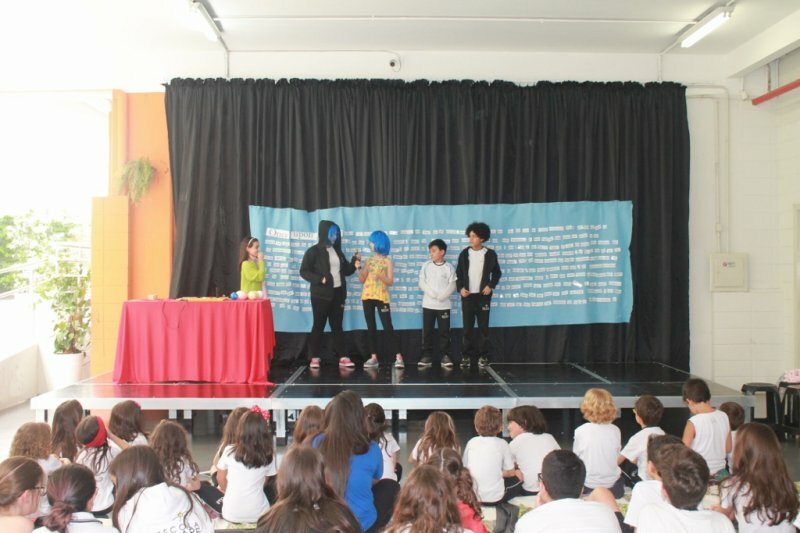 Grupo Verde (Integral) had a special participation! 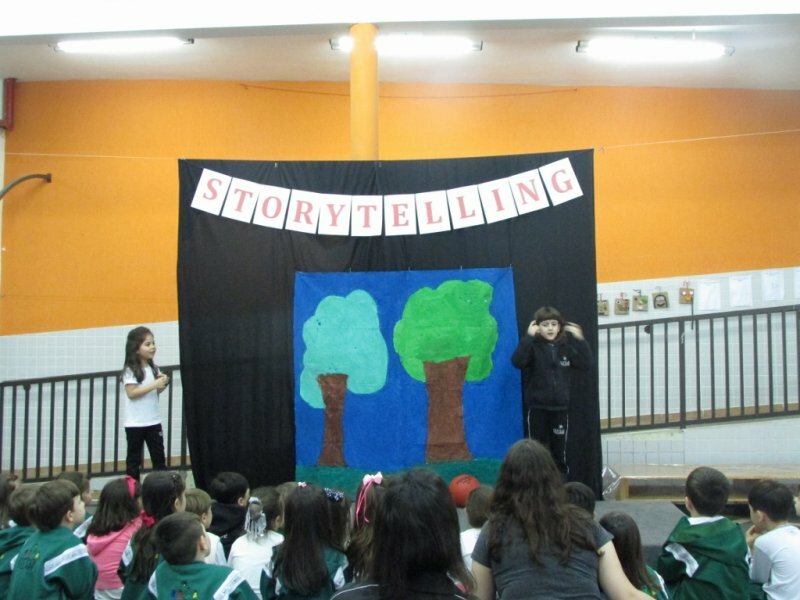 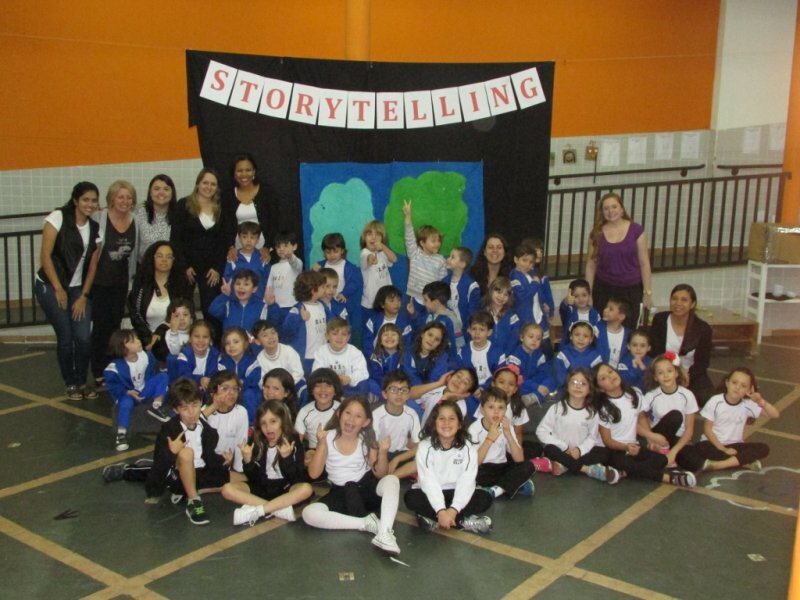 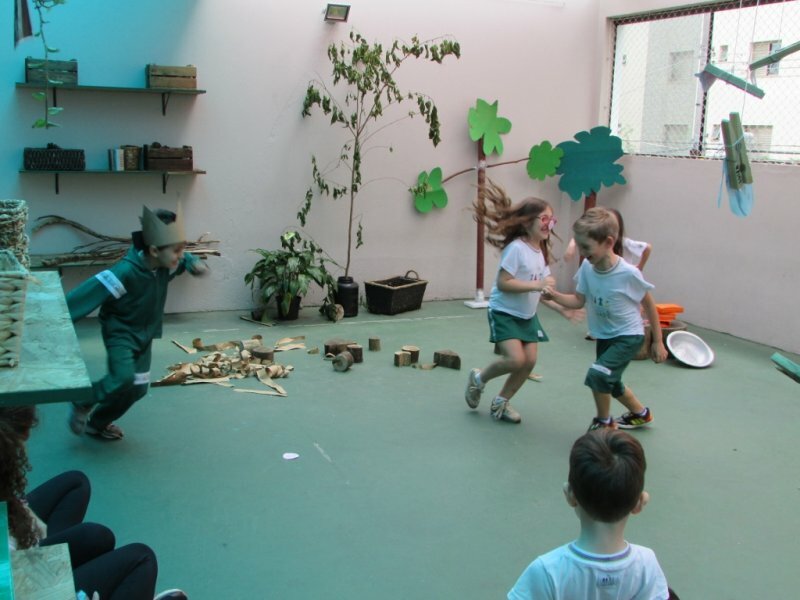 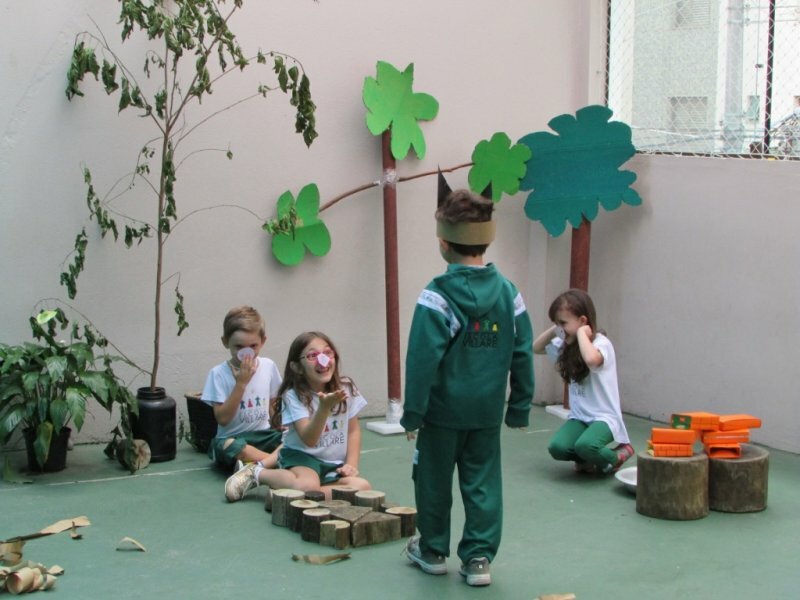 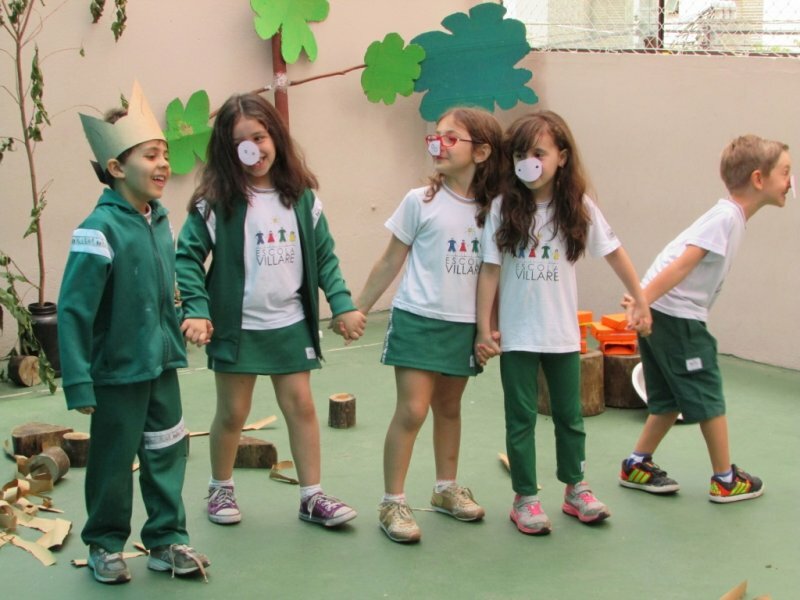 They presented a play based on the story of The Three Little Pigs for 1st graders. 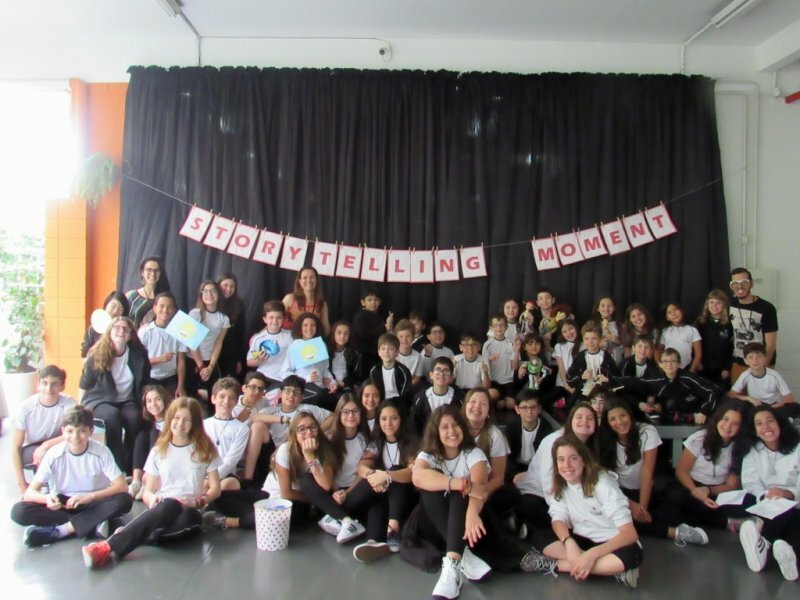 It was such a special day! 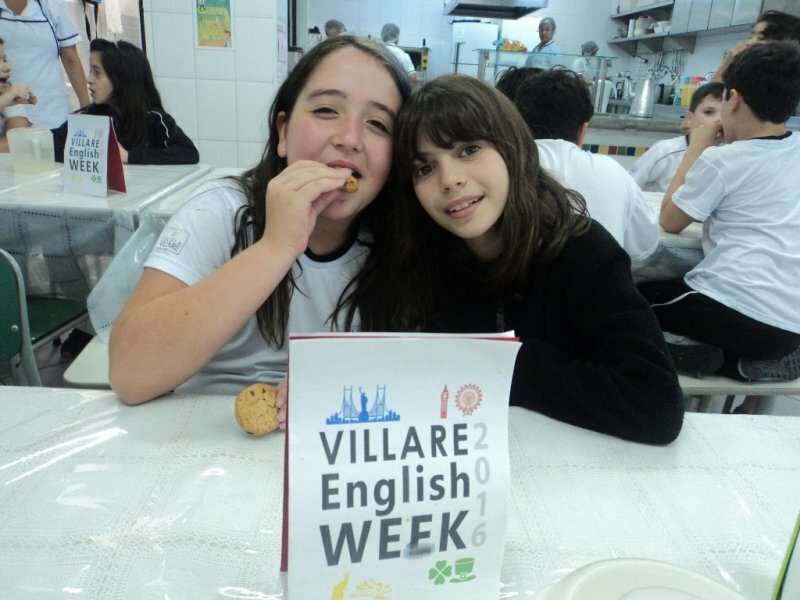 Villare English Week 2016 is over. 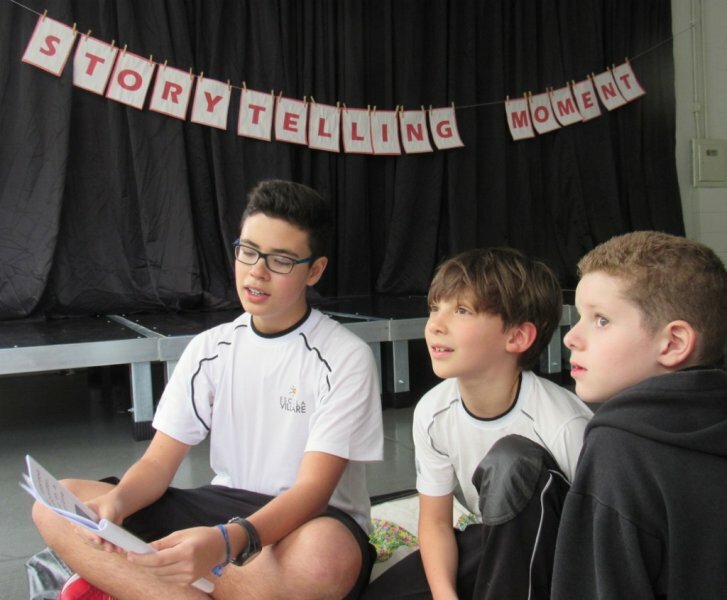 Stories were written and rewritten. 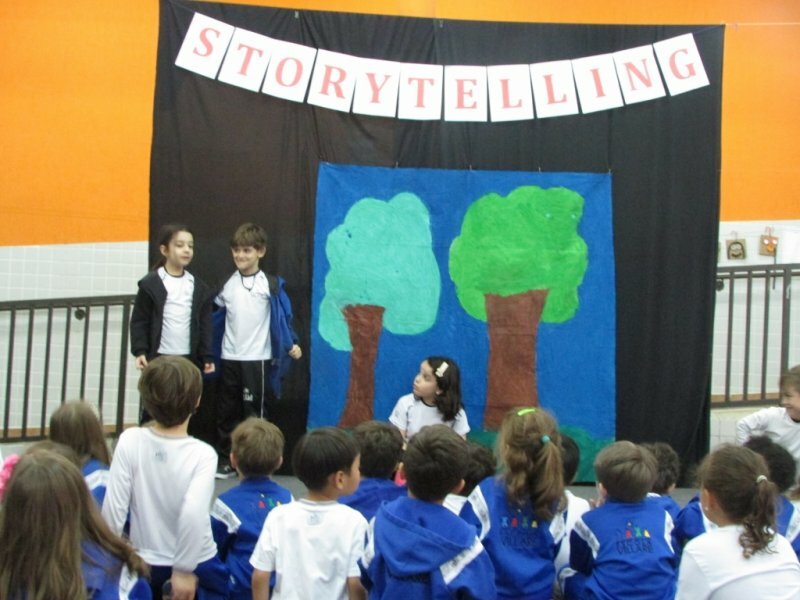 Stories were told and retold. 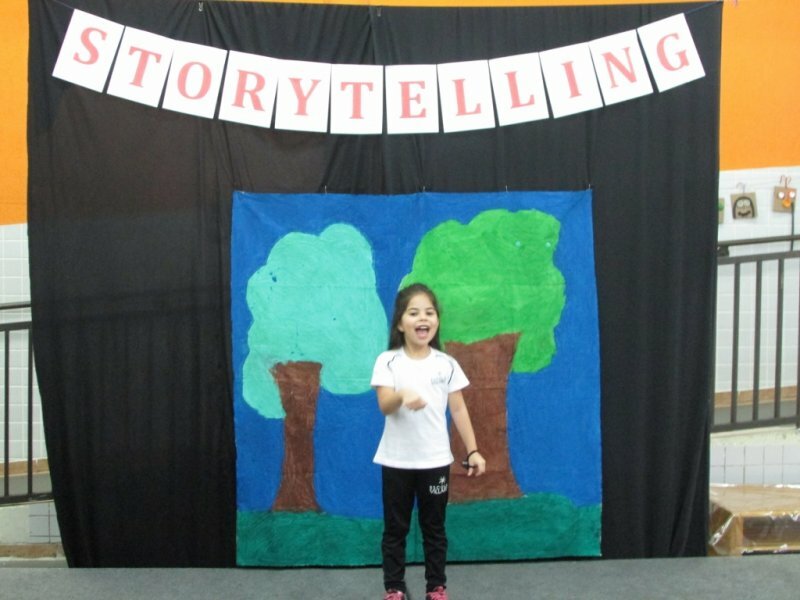 Stories were sung and even acted out. 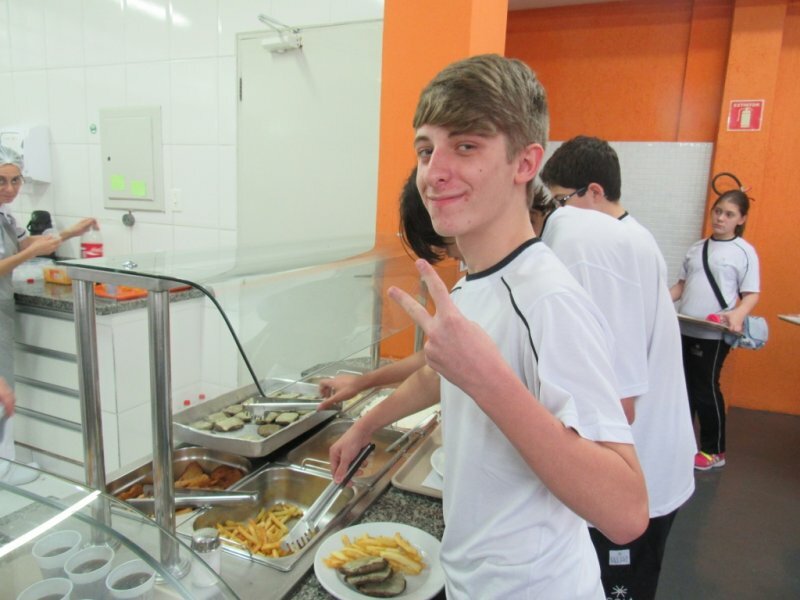 And what is left? 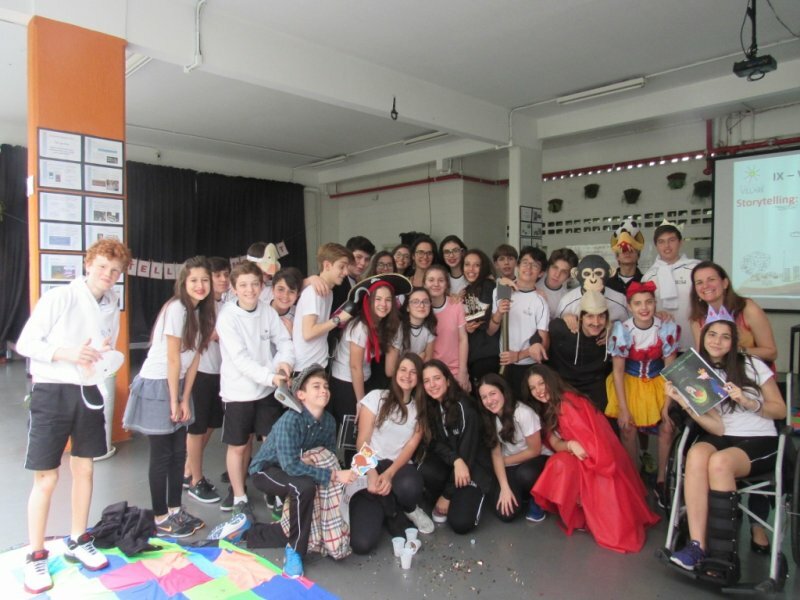 The good memories and a hope to be able to make it even better next year! 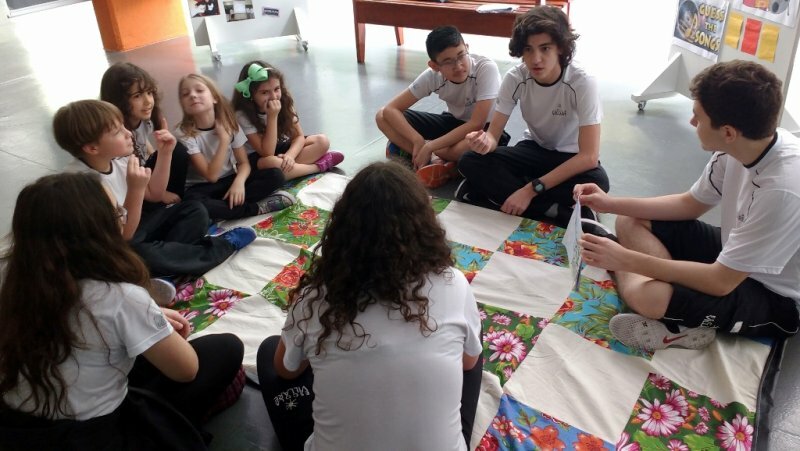 The stories we shared, the games we played, the guests we received and all the knowledge we could exchange these days will forever be in our thoughts and in our hearts. 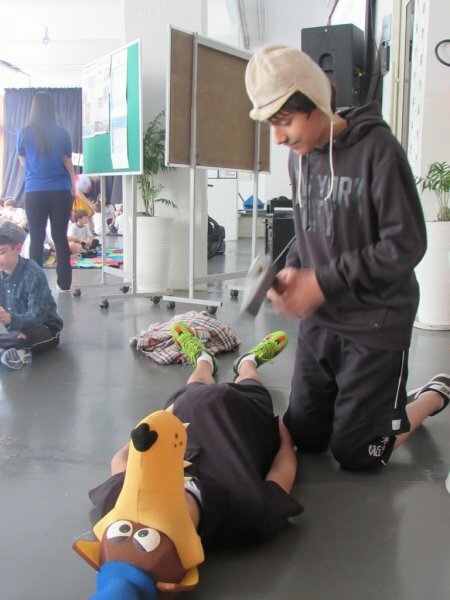 Have a look at the last moments!